JPMorgan or Goldman Sachs are taking a huge issuance (stopping) of gold at the comex. In silver, the total OPEN INTEREST WENT UP AGAIN : THIS TIME BY A STRONG SIZED 3321 CONTRACTS FROM 194,082 UP TO 197,403 DESPITE YESTERDAY’S 31 CENT FALL IN SILVER PRICING AT THE COMEX. TODAY WE ARRIVED CLOSER TO AUGUST’S 2018 RECORD SETTING OPEN INTEREST OF 244,196 CONTRACTS. WE MUST HAVE HAD CONSIDERABLE SHORT COVERING AGAIN TODAY. AND NOW 3.53 MILLION OZ STANDING FOR SILVER IN APRIL. TO GIVE YOU AN IDEA AS TO THE HUGE SUPPLY THIS MONTH IN SILVER: SO FAR THIS MONTH OF MAR: 207.835 MILLION PAPER OZ HAVE MORPHED OVER TO LONDON. THIS REPRESENTS AROUND 29.68% OF ANNUAL GLOBAL PRODUCTION (EX CHINA EX RUSSIA)* JUNE’S 345.43 MILLION OZ IS THE SECOND HIGHEST RECORDED ISSUANCE OF EFP’S AND IT FOLLOWED THE RECORD SET IN APRIL 2018 OF 385.75 MILLION OZ. ACCUMULATION IN YEAR 2019 TO DATE SILVER EFP’S: 572.69 MILLION OZ. RESULT: WE HAD A STRONG SIZED INCREASE IN COMEX OI SILVER COMEX CONTRACTS OF 3321 DESPITE THE 31 CENT GAIN IN SILVER PRICING AT THE COMEX /YESTERDAY..THE CME NOTIFIED US THAT WE HAD A STRONG SIZED EFP ISSUANCE OF 5639 CONTRACTS WHICH EXITED OUT OF THE SILVER COMEX AND TRANSFERRED THEIR OI TO LONDON AS FORWARDS. SPECULATORS CONTINUED THEIR INTEREST IN ATTACKING THE SILVER COMEX FOR PHYSICAL SILVER (SEE COMEX DATA) . In ounces AT THE COMEX, the OI is still represented by JUST UNDER 1 BILLION oz i.e. 0.988 BILLION OZ TO BE EXACT or 141% of annual global silver production (ex Russia & ex China). IN GOLD, THE OPEN INTEREST FELL BY AN UNBELIEVABLE SIZED 48,565 CONTRACTS, TO 456.179 WITH THE FALL IN THE COMEX GOLD PRICE/(A DROP IN PRICE OF $20.60//YESTERDAY’S TRADING). I KNOW FOR SURE THAT WE JUST HAD OUR THIRD STRAIGHT DAY OF AN OPEN INTEREST COLLAPSE DUE TO THE ANTICS OF THE SPREADERS. 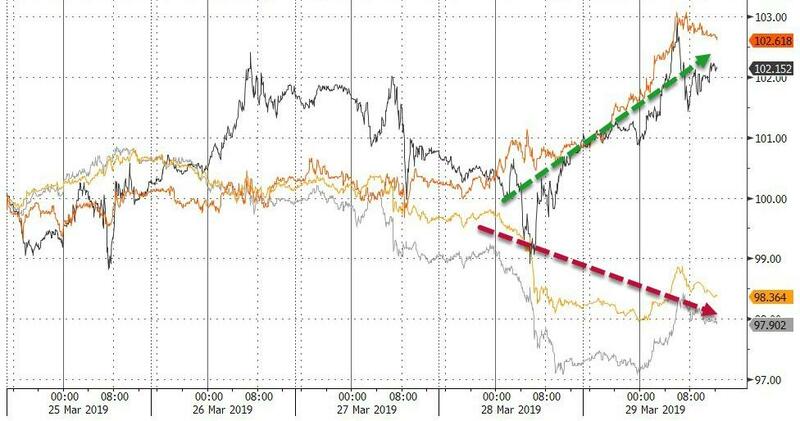 IT LOOKS LIKE THE SPREADERS LIQUIDATE THEIR CONTRACTS NOT SIMULTANEOUSLY BUT AT DIFFERENT TIMES DURING THE TRADING DAY TO CAUSE THE CASCADE OF PRICING IN OUR PRECIOUS METALS AND THAT IS HOW THEY ALWAYS WIN ON OPTION EXPIRY..THEY ARE SO CROOKED. 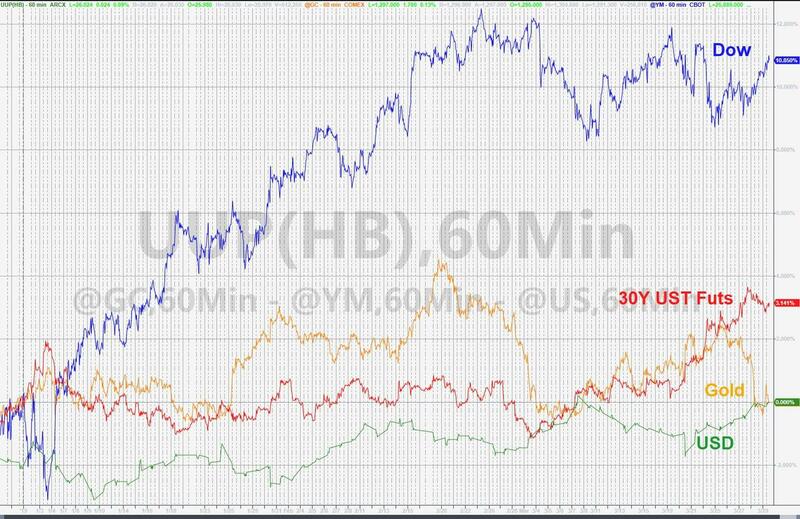 AT THE END OF THE DAY THEY ELIMINATE THE OTHER HALF OF THE SPREAD TRADE. MARCH HAD AN ISSUANCE OF 0 CONTACTS APRIL 19 CONTRACTS,JUNE: 16,068 CONTRACTS DECEMBER: 0 CONTRACTS, JUNE 2020l 100 CONTRACTS AND ALL OTHER MONTHS ZERO. The NEW COMEX OI for the gold complex rests at 457,650. ALSO REMEMBER THAT THERE WILL BE A DELAY IN THE ISSUANCE OF EFP’S. THE BANKERS REMOVE LONG POSITIONS OF COMEX GOLD IMMEDIATELY. THEN THEY ORCHESTRATE THEIR PRIVATE EFP DEAL WITH THE LONGS AND THAT COULD TAKE AN ADDITIONAL, 48 HRS SO WE GENERALLY DO NOT GET A MATCH WITH RESPECT TO DEPARTING COMEX LONGS AND NEW EFP LONG TRANSFERS. . EVEN THOUGH THE BANKERS ISSUED THESE MONSTROUS EFPS, THE OBLIGATION STILL RESTS WITH THE BANKERS TO SUPPLY METAL BUT IT TRANSFERS THE RISK TO A LONDON BANKER OBLIGATION AND NOT A NEW YORK COMEX OBLIGATION. LONGS RECEIVE A FIAT BONUS TOGETHER WITH A LONG LONDON FORWARD. 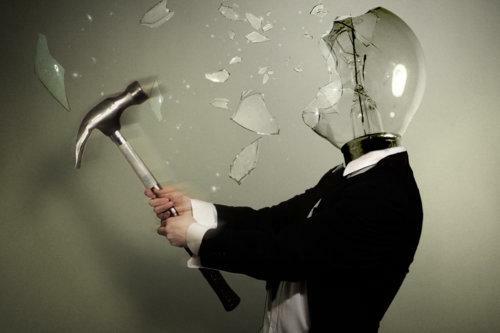 THUS, BY THESE ACTIONS, THE BANKERS AT THE COMEX HAVE JUST STATED THAT THEY HAVE NO APPRECIABLE METAL!! THIS IS A MASSIVE FRAUD: THEY CANNOT SUPPLY ANY METAL TO OUR COMEX LONGS BUT THEY ARE QUITE WILLING TO SUPPLY MASSIVE NON BACKED GOLD (AND SILVER) PAPER KNOWING THAT THEY HAVE NO METAL TO SATISFY OUR LONGS. LONDON IS NOW SEVERELY BACKWARD IN BOTH GOLD AND SILVER AND WE ARE WITNESSING DELAYS IN ACTUAL DELIVERIES. IN ESSENCE WE HAVE A STRONG SIZED LOSS IN TOTAL CONTRACTS ON THE TWO EXCHANGES OF 32,393 CONTRACTS: 48,565 OI CONTRACTS DECREASED AT THE COMEX AND 16,172 EFP OI CONTRACTS WHICH NAVIGATED OVER TO LONDON. THUS TOTAL OI LOSS OF 32,393 CONTRACTS OR 3,239,300 OR 100.75 TONNES. 16,172 CONTRACTS MOVE TO LONDON AND 48,565 CONTRACTS DECREASED AT THE COMEX. (IN TONNES, THE LOSS IN TOTAL OI EQUATES TO 100.75 TONNES). ..AND ALL OF THIS LACK OF DEMAND OCCURRED WITH A FALL IN PRICE OF $20.60 IN YESTERDAY’S TRADING AT THE COMEX!!!!! HOWEVER THERE IS NO DOUBT THAT AGAIN WE HAVE HUGE LIQUIDATION OF SPREADERS AS WE HEAD INTO AN ACTIVE DELIVERY MONTH AND IT IS THEIR ACTION THAT LEAD TO A FALL IN PRICE SO UNDERWRITTEN CONTRACTS WOULD NOT BE EXERCISED. THIS IS HOW THE CROOKS WIN ALWAYS ON OPTIONS EXPIRY. we had: 957 notice(s) filed upon for 95,700 oz of gold at the comex. /INVENTORY RESTS AT 309.957 MILLION OZ. 1. Today, we had the open interest in SILVER ROSE BY A STRONG SIZED 3321 CONTRACTS from 194,082 UPTO 197,403 AND CLOSER TO THE NEW COMEX RECORD SET LAST IN AUG.2018 AT 244,196 WITH A SILVER PRICE OF $14.78/(AUGUST 22/2018)..THE PREVIOUS RECORD WAS SET ON APRIL 9/2018 AT 243,411 OPEN INTEREST CONTRACTS WITH THE SILVER PRICE AT THAT DAY: $16.53). AND PREVIOUS TO THAT, THE RECORD WAS ESTABLISHED AT: 234,787 CONTRACTS, SET ON APRIL 21.2017 OVER 1 1/3 YEARS AGO. THE PRICE OF SILVER ON THAT DAY: $17.89. AS YOU CAN SEE, WE HAVE RECORD HIGH OPEN INTERESTS IN SILVER ACCOMPANIED BY A CONTINUAL LOWER PRICE WHEN THAT RECORD WAS SET…..
0 CONTRACTS FOR MARCH. 0 CONTRACTS FOR APRIL., 5639 FOR MAY AND MARCH 2020: 0 CONTRACTS AND ALL OTHER MONTHS: ZERO. TOTAL EFP ISSUANCE: 5639 CONTRACTS. EFP’S GIVE OUR COMEX LONGS A FIAT BONUS PLUS A DELIVERABLE PRODUCT OVER IN LONDON. IF WE TAKE THE OI GAIN AT THE COMEX OF 3321 CONTRACTS TO THE 5639 OI TRANSFERRED TO LONDON THROUGH EFP’S, WE OBTAIN A HUMONGOUS GAIN OF 8960 OPEN INTEREST CONTRACTS. THUS IN OUNCES, THE GAIN ON THE TWO EXCHANGES: 44.80 MILLION OZ!!! AND YET WE ALSO HAVE A STRONG DEMAND FOR PHYSICAL AS WE WITNESSED A FINAL STANDING OF GREATER THAN 30 MILLION OZ FOR JULY, A STRONG 6.065 MILLION OZ FOR AUGUST.. A HUGE 39.505 MILLION OZ STANDING FOR SILVER IN SEPTEMBER… OVER 2 million OZ STANDING FOR THE NON ACTIVE MONTH OF OCTOBER., 7.440 MILLION OZ FINALLY STANDING IN NOVEMBER. 21.925 MILLION OZ STANDING IN DECEMBER , 5.845 MILLION OZ STANDING IN JANUARY. 2.955 MILLION OZ STANDING IN FEBRUARY, 27.120 MILLION OZ FOR MARCH. AND NOW 3.530 MILLION OZ FOR APRIL. RESULT: A STRONG SIZED INCREASE IN SILVER OI AT THE COMEX DESPITE THE 31 CENT FALL IN PRICING THAT SILVER UNDERTOOK IN PRICING// YESTERDAY. WE ALSO HAD A STRONG SIZED 5639 EFP’S ISSUED TRANSFERRING COMEX LONGS OVER TO LONDON. TOGETHER WITH THE STRONG SIZED AMOUNT OF SILVER OUNCES STANDING FOR THIS MONTH, DEMAND FOR PHYSICAL SILVER CONTINUES TO INTENSIFY AS WE WITNESS SEVERE BACKWARDATION IN SILVER IN LONDON. iii)Bill Blain on the Brexit and Boeing.. It seems that there are 5 banks in trouble with huge exposure to a Turkish failure, namey the big Italian banks Intessa and Unicredit along with the French bank BNP Paribas. I noted that Turkish foreign reserves were down 1/3 down to about 24 billion USA./ They own 261 tonnes of gold or 10 billion dollars which is included in this foreign reserve calculation. Turkey is down to their last remaining USA dollars. Somehow the anti stall software was mistakenly activated before the deadly crash. Not sure what that means..
b)U. of Michigan soft data rebounds in March and it was hope in the low income American category that sparked the gain. Brandon Smith is one smart cookie. He believes that the Fed is controlling the demolition of its own economy. He states that the Fed should have cut rates right now and not paused. 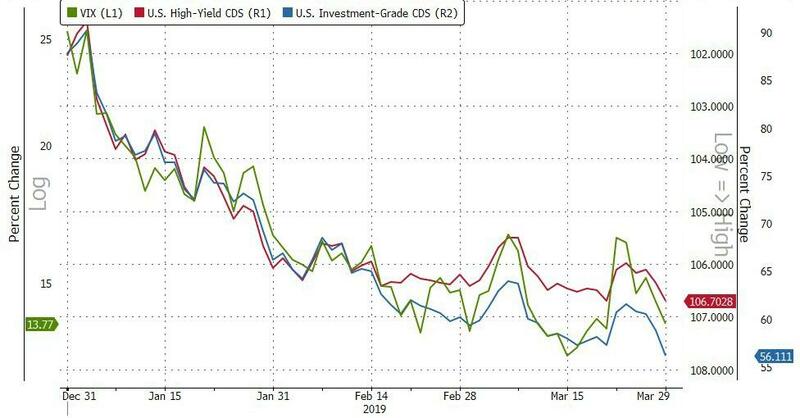 Why continue with balance sheet run off until September when already the economy is faltering badly and the yield curves are inverting. He believes that we know have a perfect storm where England is in a mess with Brexit, the European economies including Germany’s are badly in a rot and the uSA is engaging in a trade war with China. The Fed does not like to be blamed so now it surely looks like a perfect storm is developing globally. 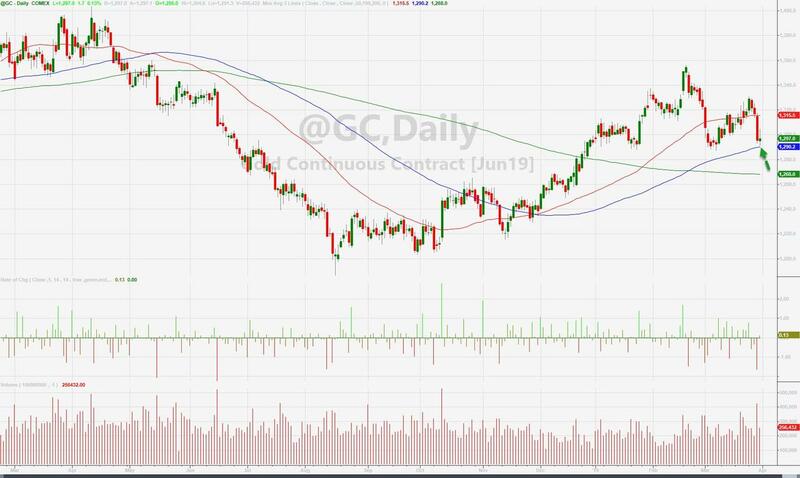 THE TOTAL COMEX GOLD OPEN INTEREST COLLAPSED FOR THE 3RD STRAIGHT DAY AS IT FELL BY A HUMONGOUS SIZED 48,565 CONTRACTS DOWN TO A LEVEL OF 456,179 WITH THE LOSS IN THE PRICE OF GOLD ($20.60) IN YESTERDAY’S // COMEX TRADING) AND NO DOUBT WE WITNESSED OUR USUAL AND CUSTOMARY DEPLETION OF SPREADERS AS WE HEAD INTO FIRST DAY NOTICE OF AN ACTIVE DELIVERY MONTH!! THEIR MODUS OPERANDI IN THEIR LIQUIDATION CAUSES PRICES TO FALL AND MAKE OPTIONS EXPIRE WORTHLESS!! 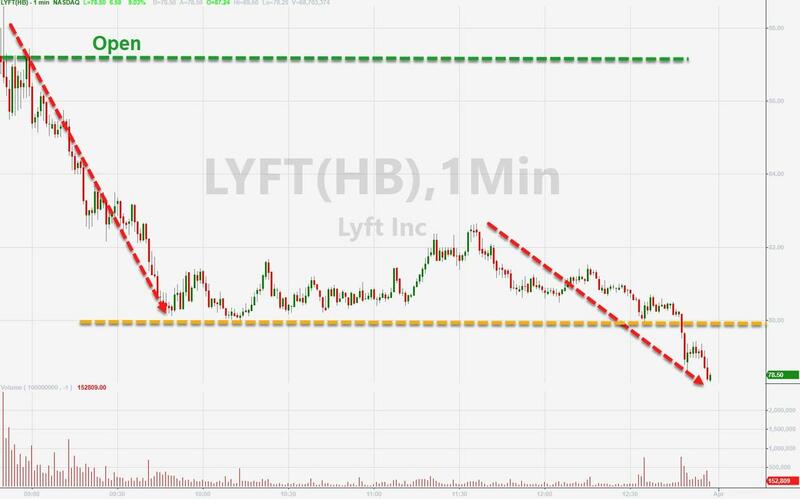 THEY LIQUIDATE THE SELL SIDE FIRST TO CAUSE THE CASCADE, THEN USE THE SECOND LEG OF THE SPREAD TO BALANCE THEIR TRADE. THEY USE THIS TO HIDE POSITION LIMITS. TOTAL EFP ISSUANCE: 16,172 CONTRACTS. ON A NET BASIS IN OPEN INTEREST WE LOST THE FOLLOWING TODAY ON OUR TWO EXCHANGES: 32,393 TOTAL CONTRACTS IN THAT 16,172 LONGS WERE TRANSFERRED AS FORWARDS TO LONDON AND WE LOST AN ATMOSPHERIC SIZED 48,565 COMEX CONTRACTS. NET LOSS ON THE TWO EXCHANGES ::32,393 contracts OR 3,239,300 OZ OR 100.75 TONNES. We are now in the active contract month of APRIL and here the open interest stands at 3880 contracts. We lost an astounding 54,312 contracts today and no doubt these guys were told that there is no gold at the comex so that they had better migrate over to London. The next non active delivery month after APRIL is the NON active delivery month is MAY and here the OI gained by 1448 contracts UP to 3228 contracts. The next contract month after May is June and it is an active month. Here the open interest rose by 5070 contracts up to 340,193 contracts. WE ARE NOW INTO THE NON ACTIVE DELIVERY MONTH OF APRIL AND THE OPEN INTEREST IN THIS FRONT MONTH RESTS AT 706 CONTRACTS FOR A GAIN OF 40 CONTRACTS ON THE DAY. 706 CONTRACTS X 5000 OZ PER CONTRACT = 3.530 MILLION OZ. WHICH IS A HUGE AMOUNT OF A NON ACTIVE MONTH. AFTER APRIL, WE HAVE THE ACTIVE DELIVERY MONTH OF MAY AND HERE THE OI ROSE BY 2281 CONTRACTS UP TO 136.918. CONTRACTS.. WE STILL HAVE 0 OPEN INTEREST FOR JUNE 2019. AFTER JUNE, THE VERY BIG DELIVERY MONTH OF JULY HAD A GAIN OF 1025 CONTRACTS UP TO 33,550 CONTRACTS. ON A NET BASIS WE GAINED A STRONG 8960 SILVER OPEN INTEREST CONTRACTS AS WE OBTAINED A 3321 CONTRACT GAIN AT THE COMEX COMBINING WITH THE ADDITION OF 5639 OI CONTRACTS NAVIGATING OVER TO LONDON. NET GAIN ON THE TWO EXCHANGES: 8960 CONTRACTS...AND ALL OF THIS STRONG DEMAND OCCURRED WITH A 31 CENT LOSS IN PRICING// YESTERDAY??? No of notices served (957 x 100 oz) + (3880)OI for the front month minus the number of notices served upon today (957 x 100 oz )which equals 388,000oz standing OR 12.0680 TONNES in this active delivery month of APRIL. AT CONCLUSION APRIL 30/2018: ONLY 4.6407 TONNES STOOD AS THE REST MIGRATED TO LONDON THROUGH EFP’S. IT LOOKS LIKE WE ARE GOING TO HAVE A REPEAT OF LAST YEAR WHERE MANY MORPH TO LONDON BECAUSE THERE IS NO METAL AT THE COMEX. IN THE LAST 30 MONTHS 105 NET TONNES HAS LEFT THE COMEX. CNT has been very busy this week. To calculate the number of silver ounces that will stand for delivery in APRIL, we take the total number of notices filed for the month so far at 141 x 5,000 oz = 705,000 oz to which we add the difference between the open interest for the front month of APRIL. (706) and the number of notices served upon today (141 x 5000 oz) equals the number of ounces standing. Thus the INITIAL standings for silver for the APRIL/2019 contract month: 141(notices served so far)x 5000 oz + OI for front month of APRIL( 706) -number of notices served upon today (141)x 5000 oz equals 3,530,000 oz of silver standing for the APRIL contract month. This is a strong number of oz standing for an off delivery month. FEB 19/WITH GOLD UP $22.95/ TWO TRANSACTIONS: A HUGE 3.82 TONNES OF GOLD WITHDRAWAL FROM THE GLD THIS MORNING AND THEN 0.58 TONNES THIS AFTERNOON///INVENTORY RESTS AT 792,45 TONNES. FROM FEB 1/2019 UNTIL TODAY, GOLD IS UP $24.25 AND YET GOLD WITHDRAWALS ARE A HUGE 31.42 TONNES/THIS IS CRIMINAL!! *LAST 469 TRADING DAYS: A NET 16.13 TONNES HAVE NOW BEEN ADDED INTO THE GLD INVENTORY. Editors note: This is an interesting and important story that should have been picked up more widely in Europe’s media and not solely on Reuters. The context is not given despite it being very important indeed. The ECB and its President Mario Draghi realise gold is very important in terms of protecting the euro from collapsing both in terms of nations reverting to their national currencies but also in terms of the euro, dollar, pound and other fiat currencies collapsing in value, if the public loses faith in them. The largest buyers of gold in 2018 were central banks and the largest holders of gold remain the U.S., the Bundesbank and other central banks in the indeed the IMF and the ECB itself. Investors should prudently follow the lead of central banks internationally and gradually accumulate gold and dollar, euro or pound cost averaging into an allocated and segregated physical gold position. FRANKFURT, Germany — The European Central Bank needs to approve any operation in the foreign reserves of euro zone countries, including gold and large foreign currency holdings, the ECB’s President Mario Draghi said today. “The ECB shall approve both the operations in foreign reserve assets remaining with the national central banks … and member states’ transactions with their foreign exchange working balances above a certain threshold,” Draghi told two Italian members of the European Parliament. On the other hand, the Basel 111 framework “The Liquidity Coverage Ratio” was promulgated in January 2013. and in paragraph 10 there is a phasing timetable with 100% fully phased implementation on 1st January 2019.From paragraph 45 onward there is a detailed discussion of what is encompassed by the term HQLA (high quality liquid assets), and gold is not specifically mentioned-not at all. I would be more than grateful it someone could point out the authority for the specific date of 29th March 2019 as the implementation for the BASEL111 recommendations re vault gold. On another note let us examine the actual wording of section 96 of the Basel 111 document,Finalizing Post Crisis Reforms:a 0% risk weight will apply to gold bullion held at the bank,or held in another bank on an allocated basis to the extent that the gold bullion assets are backed by gold bullion liabilities. Allocated gold is gold deposited under a safe-keeping or custody arrangement. It is “a specific and uniquely numbered physical piece of gold, which remains in the ownership of the individual or institution placing it for safe custody with a bank” (paragraph 15 of Philip Turnbull, BOPTEG issues paper # 27A). The owner of allocated gold keeps legal ownership over the allocated gold even if it is deposited with a custodial facility provider. In the economic system, it remains an asset without a counterpart liability. I am therefore a bit confused to say the least by the BIS talking about reciprocal gold bullion liabilities. One of the signs of an imminent, or perhaps already existing, recession is the ongoing level of car sales and these have been heading downwards steeply in virtually all major markets . Contrary to this trend the palladium price had been heading ever higher – some suggested into bubble territory. But at last the penny seems to have dropped and the palladium bubble, if there was one, may well have burst with a phenomenal drop in price over the past couple of days. True, other precious metals have not been immune to the drop in prices and are mostly sharply down as well, but the fall in the palladium price has been nothing short of dramatic. As recently as Wednesday palladium was riding high at comfortably above $1,500 an ounce. 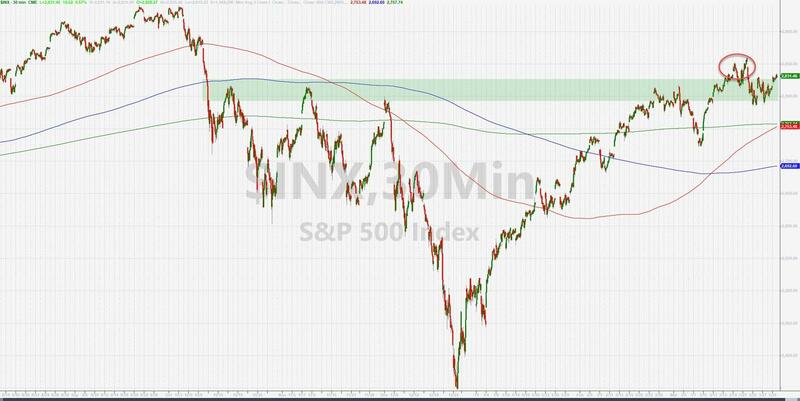 By yesterday’s North American close it had come off a massive $200 an ounce and even drifted lower in overnight trading before making a relatively small recovery this morning in the European markets. But we suspect this recovery will be shortlived as the metal’s price vulnerability sinks in. Indeed were it not for the gold price slipping back too in the face of a sharp rise in the dollar index, gold and platinum might have got close to parity again! We suspect that this might actually become the case over the next few weeks with gold likely to trend stronger, while palladium could well have further to fall. U.S. car sales, having been down for the past several months, are widely expected to fall again this month. European sales have been down now for five months in a row with Brexit uncertainty not helpful, although ironically UK car sales actually saw a small pick-up in February. China, nowadays the world’s largest light vehicle market, has also seen new car registrations fall sharply for the past eight months. Palladium’s price strength has largely been due to a perceived tight supply situation with demand having exceeded supply for the past couple of years. Its principal market has been as a petrol (gasoline) driven internal combustion engine exhaust emission control catalyst so a global downturn in petrol engine driven vehicles has to be significant in a market which has seen the palladium price rise by around eight times over the past 10 years!. In short, we don’t see palladium demand as a consistently rising market. Indeed we see it declining as what is probably a global recession bites leading to an overall downturn in car sales. This will also see a likely additional downturn in palladium demand enhanced by continued growth in EV sales taking an ever-advancing proportion of new light vehicle sales. 30 SNB (Swiss National Bank) still intervening again in the markets driving down the SF. It is not working: USA/SF this morning 0.9955 as the Swiss Franc is still rising against most currencies. Euro vs SF is 1.1182 well above the floor set by the Swiss Finance Minister. Thomas Jordan, chief of the Swiss National Bank continues to purchase euros trying to lower value of the Swiss Franc. Global stocks and US equity futures rose in a broad rally to end the strongest quarter since 2012 while global bond yields rebounded after a prolonged slide on growth worries amid renewed “trade talk optimism” after Bloomberg reported overnight that U.S. negotiators have been working “line-by-line” through the text of the trade truce agreement and Steven Mnuchin said he had a “productive working dinner” the previous night in Beijing. And yet, while traders saw this as signs of optimism, the reality is that this was only necessary because the two sets of drafts appeared to differ substantially, and the focus on the joint wording “has become a key issue after U.S. officials complained that Chinese versions of the text had walked back or omitted commitments made by negotiators.” The two sides have very different understandings of certain words, according to one of the officials, who noted that China’s Vice Commerce Minister Wang Shouwen started his career as a translator at the ministry. 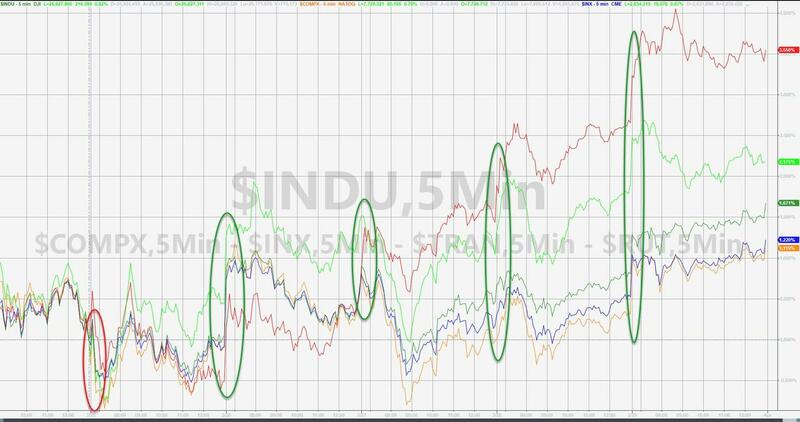 As always expect lots of noise on the trade front and little to no signal, although markets will look for any excuse to window dress stocks sharply higher today. Sure enough, futures on the S&P 500, Nasdaq and Dow Jones all rose, and despite recent turbulence, the S&P 500 gained 12.3% so far this quarter, on pace for the best quarterly performance since 2009. European markets opened higher, with the European STOXX 600 index up 0.4 percent. France’s CAC 40 index led gains, up 0.77 percent, while Britain’s FTSE 100 index was up 0.6 percent. Germany’s DAX rose 0.4 percent with miners and retailers leading the way higher. Earlier, stocks rose across Asia, with China stocks leading gains across regional equity markets with U.S.-China trade talks underway in Beijing; Shanghai Composite and CSI 300 indexes both on course for their best quarter since 2014; The MSCI Asia Pacific Index was up 9% in 1Q. 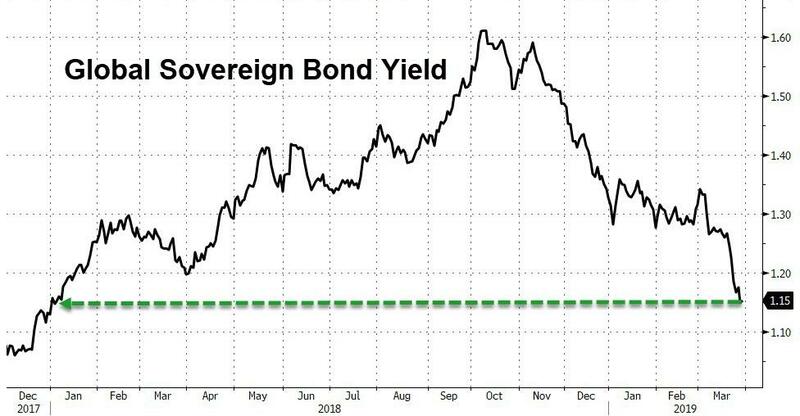 European sovereign bond yield were marginally higher and the euro slumped even as German unemployment fell to a fresh record low. 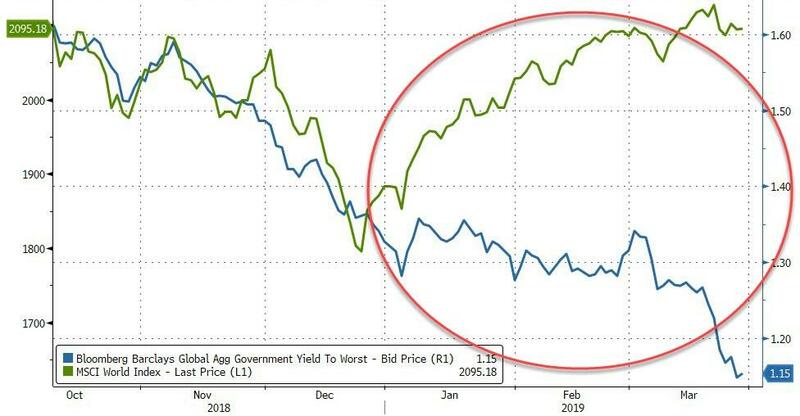 Even so, German and French government bond yields were poised on for their biggest monthly falls since June 2016, ending a month where heightened anxiety about global growth prospects have sparked a flood into fixed income globally. 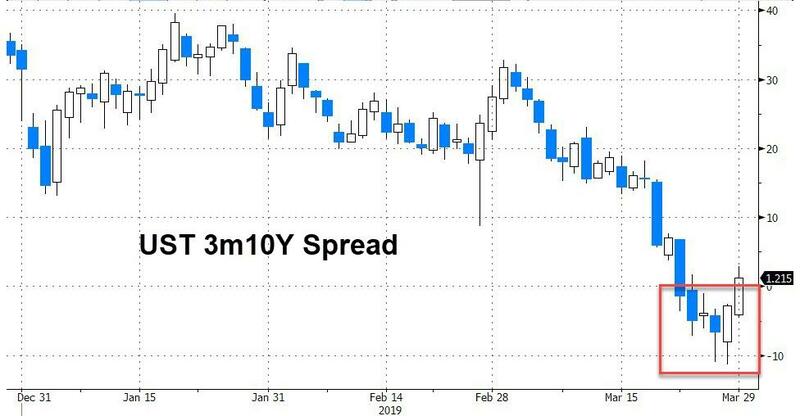 In the US, the 10Y Treasury yield edged up to 2.4263% from a 15-month low of 2.352% touched on Thursday after an almost relentless fall since the Federal Reserve’s dovish tone last week sparked worries about the U.S. economic outlook, after Thursday’s latest Q4 GDP revision showed U.S. economic growth was slower than initially thought growing a revised 2.2% from an earlier reading of 2.6%. In overnight central bank news, Fed’s Bullard said the normalization process in US is at an end and suggested they have gone as far as they can. Bullard also commented that it is premature to consider a rate cut now and that he sees a likely rebound in economic growth during Q2 and the rest of 2019. In the latest Brexit news, UK House of Commons speaker selects no amendments for debate today. A UK government source confirmed they were laying a motion to give MPs a vote on the withdrawal agreement only for Friday without the political declaration on the future relationship between the EU and the UK, while a government source said the vote to approve the withdrawal agreement would meet the EU’s test to extend A50 to May 22nd and is said to be substantially different to MV3. UK government ministers privately suggested a general election will be called if Friday’s vote is rejected or things “fall apart”, according HuffPost’s Paul Waugh. Elsewhere, there were comments from House Speaker Bercow that the new government motion meets his tests and only covers withdrawal agreement, while Sun’s Tom Newton Dunn reports it will occur at 14:30GMT/10:30EDT. In any case, there is little expectation in the EU today that the Withdrawal Agreement will pass and as such, the EU mood is one of resignation now, according to BBC’s Adler. However, a last minute burst of optimism emerged after SNP’s Gray says some Labour MP’s are preparing to back PM May’s agreement. 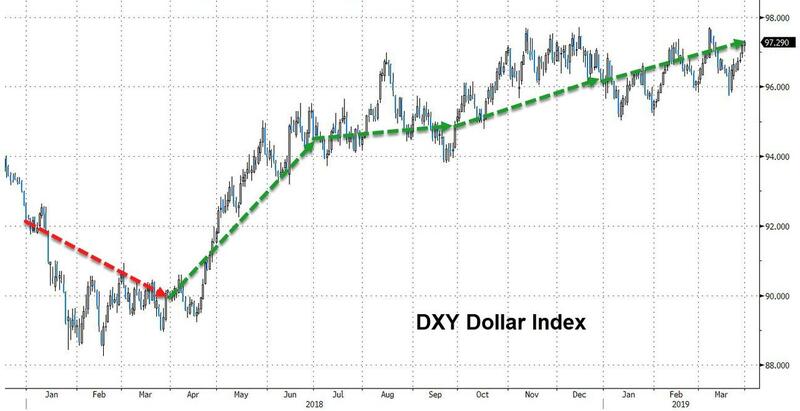 In FX, the Bloomberg Dollar Spot Index headed for its best week in seven amid stronger equity markets and optimism about a possible U.S.-China trade agreement. Quarter-end flows clouded the short-term outlook in the major currencies, providing choppy price action at times. The euro was initially lower, sliding as much as 1.121, before rebounding sharply to $1.1235, following speculation that today’s Brexit vote just may pass; even so it was headed for its worst month since October, weighed down by fears about economic growth and cautious signals from the European Central Bank. The Euro has also been weighed down by speculation the ECB will introduce a tiered deposit rate, providing a sign that policymakers plant to keep interest rates low for longer. The Turkish lira continued its slid, dropping 1.7%, a day after it had plunged 4 percent. President Tayyip Erdogan blamed the currency’s weakness on attacks by the West ahead of nationwide local elections on Sunday. TD Securities recommended a lira short whereby it urged clients to buy USDTRY calls targeting 7.9 after this weekend’s elections pass. 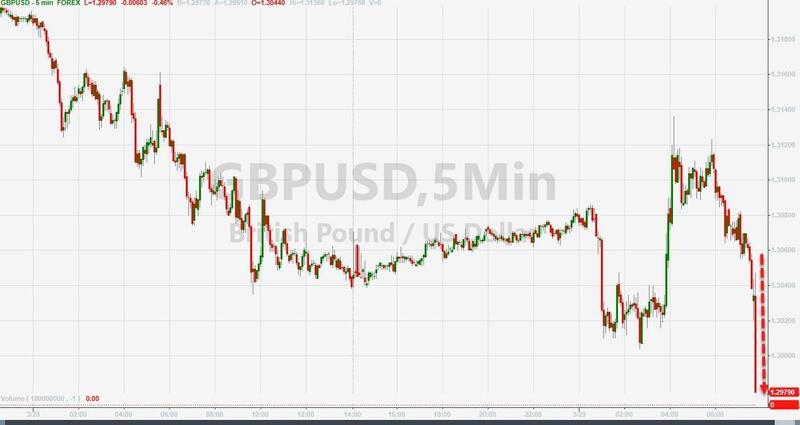 The big mover, however, was the British pound, which fired slumped as low as $1.3004 after sliding more than 1 percent the previous day, before rebounding sharply higher above 1.31 on speculation that some Labour MPs may back May’s deal. It looks like it will be another nailbiter until the end. In commodities, oil extended gains as the OPEC+ coalition’s production cuts supported prices, putting crude markets on track for their biggest quarterly rise since 2009. WTI trade at $59.76 per barrel, up 0.8 percent on the day and recovering from Thursday’s low of $58.20. Asian equity markets were higher across the board as the region took impetus from the US, where all major indices finished positive and trade-sensitive sectors outperformed on optimism as US-China high-level talks resumed in Beijing. 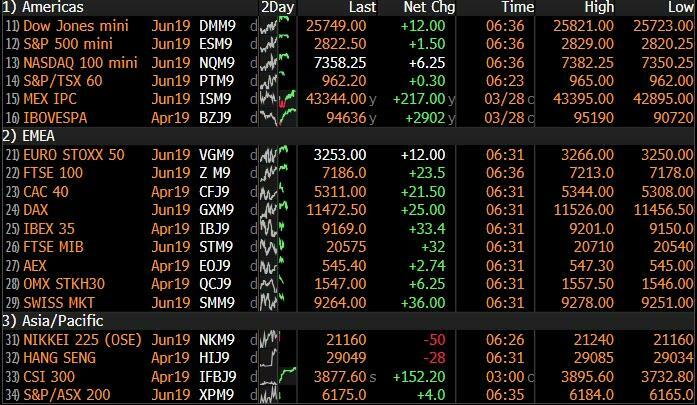 ASX 200 (+0.1%) eked mild gain as most sectors remained afloat heading into quarter-end although gold miners were heavily weighed after the precious metal succumbed to the pressure from a firmer greenback. Nikkei 225 (+0.8%) was driven by currency weakness with Daiichi Sankyo surging nearly 16% to hit limit up and a record high after it signed a USD 6.9bln collaboration and commercialization deal for its cancer drug with AstraZeneca in which it will receive an upfront payment of USD 1.35bln. Elsewhere, Hang Seng (+1.0%) conformed to the upbeat tone and the Shanghai Comp. (+3.2%) outperformed as trade discussions continued in Beijing and after China announced electricity and fuel costs reductions ahead of incoming VAT cuts. 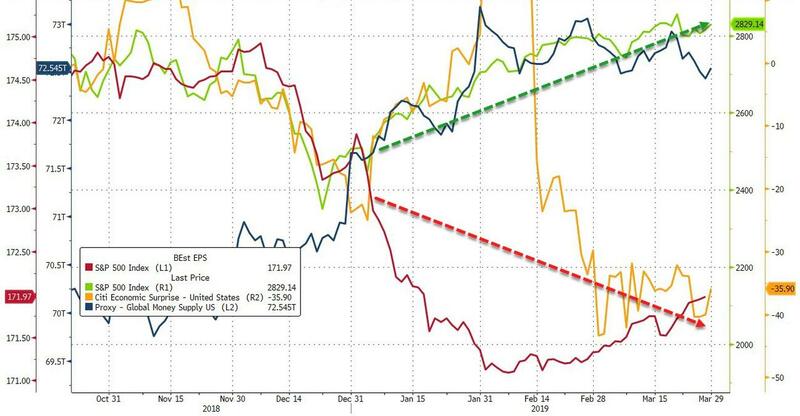 Huawei also supported the risk appetite after it posted a 25% increase in annual profits despite the ongoing US tiff, although not all stocks benefitted as some contended with disappointing earnings including China’s largest lender ICBC which fell short of FY net forecasts after flat Q4 profits. Finally, 10yr JGBs were lower as the fixed income complex eased from the rampant inflows seen this week and as gains in stocks dampened demand for safe-haven assets, although downside was limited with the BoJ also in the market for JPY 710bln of JGBs in the belly to super long-end. A relatively upbeat start for European equities [Euro Stoxx 50 +0.5%] following on from a stellar performance in Asia, wherein the Shanghai Composite ended the week higher in excess of 3% as US-Sino talks concluded on a seemingly positive note. 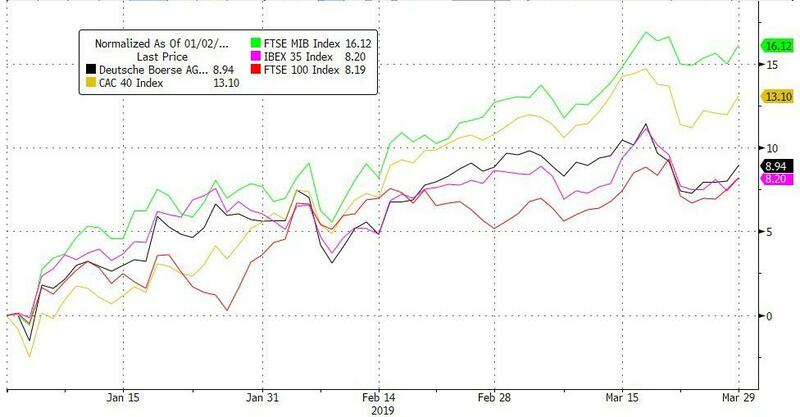 Broad based gains are seen across major indices, UK’s FTSE (+0.5%) is keeping its composure amid the Brexit-induced weakness in the Sterling and as heavyweight mining names benefit from the surge in base metal prices: [Antofagasta (+2.6%), Glencore (+2.4%), Anglo American (+2.1%) and Rio Tinto (+2.0%)]. Sector-wise, material names lead the gains, whilst consumer discretionary names benefit from positive broker moves for Kering (+1.4%), LVMH (+1.2%) and Richemont (+0.9%). Looking at individual movers, Wirecard (-6.9%) shares plumb the depths following yet another FT article which noted that half the company’s revenues come from partners whilst noting that at some of them there is a mismatch with reality on the ground. A Wirecard executive has noted the article in incorrect and misleading. Elsewhere, yet more trouble for Scandi banks with Swedbank (-9.5%), Nordea Bank (-9.8%) lower after New York regulators reportedly expanded money laundering scandal probe into Nordea Bank. In FX, USD – The Greenback remains firm overall, but has lost a bit of momentum against a few G10 and other counterparts at the start of the final trading session of the week, month and quarter as latest US-China trade talk reports suggest more progress made. However, the DXY has nudged above the 97.300 level that capped its advances yesterday and in doing so crossed a key Fib at 97.245 (76.4% retrace of the fall from 97.711 to 95.735), which bodes well from a chart standpoint ahead of potentially pivotal data including Chicago PMI and a trio of Fed speakers (Williams, Kaplan and Quarles). NZD/AUD/CAD – Bucking the broad trend on the aforementioned constructive US-China vibes, but with the Kiwi also getting a much needed fillip from ANZ’s consumer sentiment survey overnight showing an improvement in March. Nzd/Usd rebounded to just over 0.6800 at one stage, but then pared gains on more dovish RBNZ impulses, albeit indirectly as JPM updated its 2019 outlook for NZ rates with back-to-back cuts now seen in May and June. Similar story for the Aussie that briefly reclaimed 0.7100 before fading, while the Loonie is still relatively rangebound between 1.3420-45 ahead of Canadian PPI data. JPY/EUR/CHF/GBP – All softer vs the Usd, with the Jpy extending its retreat from a fraction shy of 110.00 to circa 110.92 amidst reports of Japanese selling for FY end on top of the general improvement in risk sentiment. However, supply is said to be sitting at 111.00 and the recent 110.96 peak is still providing technical resistance. The single currency is holding just above 1.1200 with buying interest touted from 1.1210 down to the figure and decent option expiry interest also supporting as 1.5 bn rolls off at the NY cut vs 1.2 bn from 1.1250-60. The Franc is essentially flat vs the Buck and Euro around 0.9950 and within 1.1190-65 parameters respectively following SNB comments on Thursday reinforcing the commitment to maintain NIRP and intervention given the Chf’s ongoing high valuation and fragility in the currency markets. 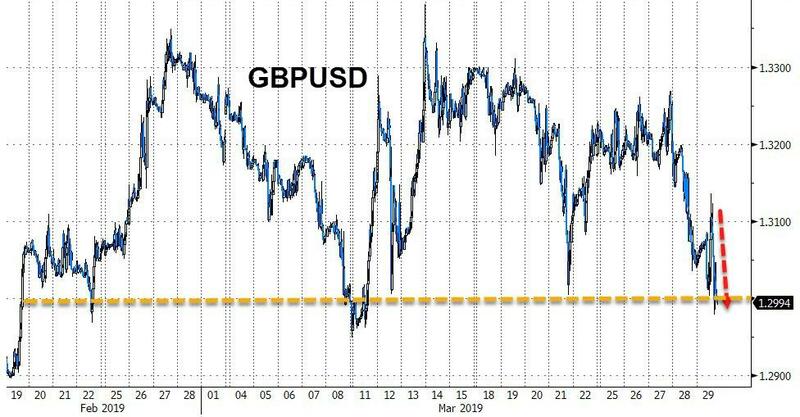 Last, but by no means least heading into yet another crucial Brexit vote in the HoC, the Pound is depressed with Cable almost losing the 1.3000 handle despite a big buy order at 1.3010 and Eur/Gbp pivoting 0.8600 where a sizeable 1 bn expiries reside and run-off only 30 minutes or so before the Parliament decide whether to back the WA. EM – In contrast to partial recoveries elsewhere, the Lira has lurched to new lows vs the Dollar not far from 5.6600 as the run continues almost relentlessly, and with little last respite from a narrower than forecast Turkish trade deficit. In commodities, WTI (+0.8%) and Brent (+0.6%) futures are on the front foot thus far amid the overall positive risk sentiment around the market as US-China talks are to continue next week after concluding in Beijung on a positive note. WTI futures extended gains above USD 59.00/bbl and remain in relatively close proximity to USD 60.00/bbl whilst Brent futures reside around USD 67.50/bbl. In the month of March, Brent Crude advanced around 1.6% whilst WTI crude posted gains in excess of 4%. In terms of recent energy news-flow Russian Energy Minister denied the report that Russia will only agree to extend output cut deal by 3 months and said Russia and Iran potential extension of OPEC+ deal. This follows source reports yesterday that OPEC and Russia could agree to a 3-month extension of the current agreement at the June meeting. Elsewhere, Gold ekes mild gains following yesterday’s slump below USD 1300/oz. Meanwhile, copper and iron are extending on earlier gains as optimism surrounding trade talks bolster the base metals. Russia Energy Minister denies report that Russia will only agree to extend output cut deal by 3 months and said Russia and Iran potential extension of OPEC+ deal. (Newswires) This follows source reports yesterday that OPEC and Russian could agree to a 3-month extension of the current agreement at the June meeting. 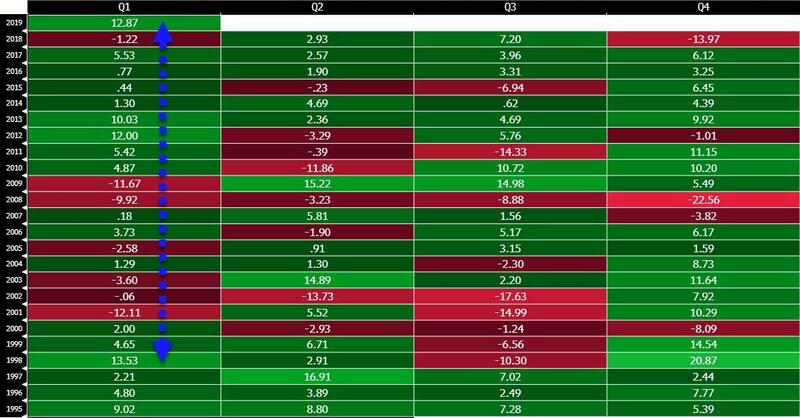 Welcome to the last business day of Q1, a quarter that most market participants will remember more fondly than Q4 2018. Craig is skiing at the moment but assuming he’s not like me and doesn’t get injured every time he steps foot on the snow, he’ll be doing the usual performance review when he’s back on Monday. Today is also the day that 1008 days after the Brexit vote, the UK was supposed to leave the EU. However if I had to make a spread as to how many more days the UK will continue to be in the EU I don’t think I’d quite know where to start. Anywhere from 14 to infinity. I’m happy to trade on this spread if anyone wants to. I’ve ordered a bit of furniture for our new house from Italy and yesterday I enquired as to when it might arrive. The guy on the other end of the phone then proceeded to tell me that there was something called Brexit that was going on and told me all about how it was going, his views on every politician involved, and that the risks to his business (and to my table) of a no deal Brexit. By the end of the conversation I was none the wiser about when it will arrive. Suffice to say that if you’re reading this in Italy and you need a new table and there’s a no deal Brexit, then I may be in a position to do business. Today we will get a fresh vote on the Withdrawal Agreement (WA) at about 2:30pm but only the WA part and not the Political Declaration on the Future Relationship as with the two previous votes. Maybe I’ll get my chairs but not my table then. The government hopes that by separating out the two, the WA could have a greater chance of success. Furthermore, it satisfies Speaker Bercow’s criteria that the vote must be on something different to last time. The other thing it satisfies is the EU’s criteria from their European Council meeting last week that in order to get an extension of the Brexit deadline from the 12 April to 22 May (the day before the European Parliament elections begin), the House of Commons just needs to approve the WA. However, it’s not obvious that this will help the government win, with Labour’s shadow Brexit Secretary, Sir Keir Starmer, saying that if the two were separated, “that would mean leaving the EU with absolutely no idea where we’re heading. That cannot be acceptable, and we wouldn’t vote for that.” And on the other side, one of the main reasons the ERG and DUP MPs have been opposed to the deal has been the backstop, which is a part of the WA. Another issue is that this risks complicating the ratification process, as in UK law under the European Union (Withdrawal) Act 2018, to ratify the WA it requires that both the WA and the framework for the future relationship have been approved in a motion by the House of Commons. Therefore, unless new legislation were passed that changed this requirement, the political declaration on the future relationship would still need to be approved in a motion by the House of Commons before the WA could be ratified. Maybe the benchmark for any defeat today will be how it compares to the indicative votes supporting a second referendum and the Customs Union – the two that got closest to a majority. Sterling weakened against every other G10 currency yesterday (-1.10% vs USD but +0.2% this morning), although other UK assets performed strongly, with sterling’s decline supporting the FTSE 100 (+0.56%) to outperform other European indices yesterday, while UK 10yr gilt yields fell -1.2bps yesterday, the only major European country to see ten-year debt yields fall. In the US-China trade negotiations, Trade Representative Lighthizer and Secretary Mnuchin will be continuing talks today, before China’s Vice Premier, Liu He, returns to Washington for further talks next week. Treasury Secretary Mnuchin has said overnight that they had a “very productive” working dinner yesterday with Chinese negotiators. National Economic Council Director Kudlow said yesterday that they are willing to extend the talks if necessary, saying that “If it takes a few more weeks, or if it takes months, so be it.” Kudlow also addressed the Commerce Department’s report on auto tariffs, which President Trump is currently reviewing. A decision on whether or not to impose broad import tariffs on the sector was supposed to come within 90 days of the report’s submission. That would put the deadline at May 19 for an announcement, but Kudlow said that Trump “could take longer” to reach a final decision. 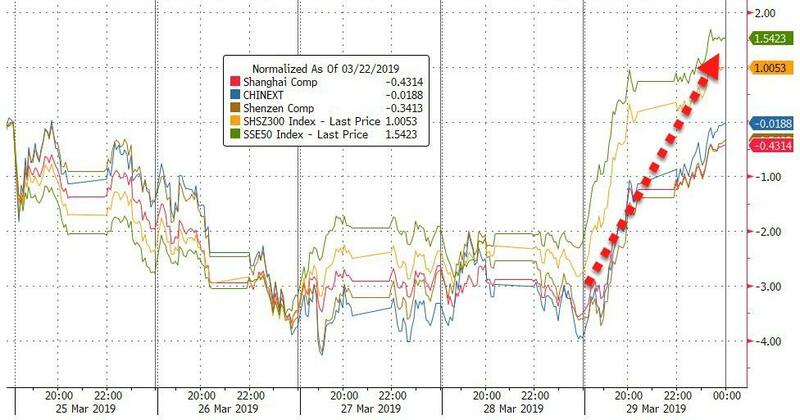 Asian markets are responding to the Mnuchin headline and the positive Wall Street lead this morning with China’s bourses leading the advance – the Shanghai Comp (+2.54%), CSI (+3.21%) and Shenzhen Comp (+2.60%) are all up. The Nikkei (+0.78%), Hang Seng (+0.77%) and Kospi (+0.42%) are also up. Elsewhere, futures on the S&P 500 are up +0.18%. In terms of overnight data releases, we saw Japan’s February industrial production in line with consensus at +1.4% mom, marking the first gain after three consecutive negative readings while the February unemployment rate came in at 2.3% yoy (vs. 2.5% yoy expected), matching the 25 year low set in May 2018. February retail sales came in at +0.2% mom (vs. +1.0% mom expected) with an upward revision to the previous month to -1.8% mom from -2.3% mom. South Korea’s February industrial production was at -2.6% mom (vs. -0.7% mom expected), the largest decline since February 2017, due to a drop in the production of cars and transportation equipment. Meanwhile the UK’s March GfK consumer confidence number was unchanged compared to prior month at -13 (vs. -14 expected). Before this US equities advanced yesterday perhaps helped by some slightly positive real-time economic data (more below). The S&P 500, DOW, and NASDAQ rose +0.36%, +0.36%, and +0.34%, with gains fairly broad-based. The main laggard was utilities, as rising rates pressured the bond-proxy sectors. Earlier in the day, European indexes had a mostly negative day, with the STOXX 600 down -0.12%, though the DAX did eke out a +0.08% gain. Bund and treasury yields rose +1.2bps and +2.3bps, respectively, and the US move was encouragingly driven entirely by inflation breakevens. The 10y breakeven rate rose +3.3bps, its biggest rise since January, though at 1.86%, it’s likely still a bit low for the Fed to be completely comfortable. Notably, Japanese 10-year yields are down to -0.094%. The Bank of Japan’s stated policy is to keep them “around zero percent,” so they’re approaching the edge of the potential policy range, though it’s not clear how concerned the BoJ would be at falling yields, as opposed to rising yields. 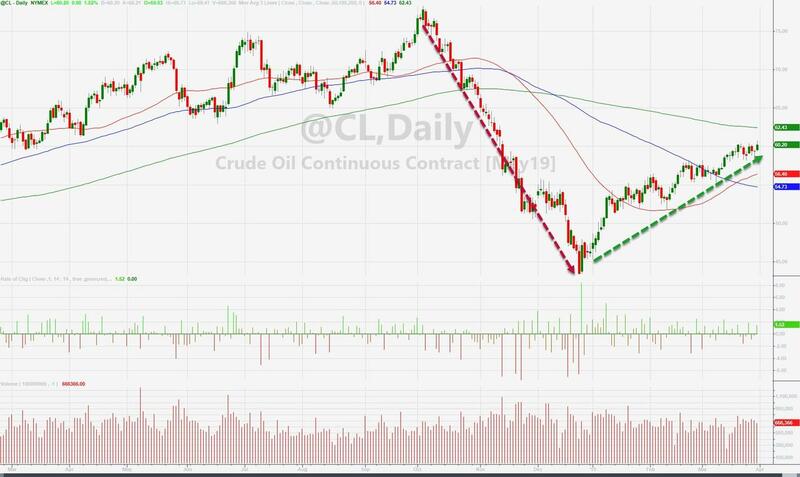 Early yesterday, President Trump asked in a tweet that “OPEC increase the flow of Oil” because “price of Oil (is) getting too high.” That initially caused WTI oil prices to drop -2.04%, but they subsequently retraced higher as the session continued to end the day near flat at $59.38 per barrel. Energy sector stocks performed in-line with the broader index, rising +0.37%. The rebound was especially striking, since it coincided with a further rally for the dollar, with the DXY index gaining +0.47%. That sent an index of emerging market currencies to its lowest level since January 3, falling -0.16% on the day. The Turkish Lira plunged again against the dollar, down -4.16% yesterday to reach 5.5603. The central bank announced that its foreign exchange reserves rose by $2.4bn last week, easing some concerns that it was using up its firepower trying to prevent currency depreciation, which helped the currency strengthen around +1.07% off its trough. Funding markets normalized a bit, with overnight liquidity back down to 32%, down from Wednesday’s peak of over 1,300%. This morning lira is down further -0.43%. Turning to the Fed Speakers, James Bullard, president of the St. Louis Fed, said that he expects growth to rebound in second-quarter after a sluggish start to the year while adding that calls for a rate cut were “premature.” Elsewhere, John Williams, president of the New York Fed, said that “the most likely case” was for U.S. growth of 2% with the economy continuing to add jobs amid low unemployment and added that “I still see the probability of a recession this year or next year as being not elevated relative to any year.” On inversion of the yield curve, he said that “there’s a lot of reasons to think that it has been a recession predictor for reasons in the past that kind of don’t apply today,” and “I think it’s telling us that growth will be pretty modest” in the U.S. and global economies going forward. Data releases were mixed yesterday but there was some positive more real-time signs in the US. US Q4 GDP saw a downward revision to an annualised QoQ rate of 2.2% (vs. 2.6% in the previous estimate), while the personal consumption reading was revised down to 2.5% from 2.8%. Pending home sales also fell by -1.0% in February (vs. -0.5% expected), bringing the YoY total to -5.0%. However, initial jobless claims came in beneath expectations at 211k (vs. 220k expected), the lowest reading in nine weeks, while the previous reading was also revised down by 5k. Furthermore, the Kansas City Fed manufacturing index rose sharply to 10 in March (vs. 0 expected), with the 9 point increase being the largest since December 2016. In the Eurozone, the economic sentiment indicator released by the European Commission fell once again in March, reaching 105.5 (vs. 105.9 expected), its lowest level since October 2016 and the 9th consecutive monthly decline. Meanwhile, German consumer prices rose by 1.5% in March (vs. 1.6% expected), the lowest level for 11 months. It’ll be interesting to see whether today’s French and Italian inflation data and Monday’s for the Eurozone paint a similar picture. Looking to the day ahead, we have the latest big Brexit vote as well as more trade talks in Beijing between the US and China. It’s also another busy day for data. From Europe, we’ve got French and Italian CPI readings for March, in Germany we’ve got February’s retail sales figures and March’s change in unemployment, and from the UK, we’ll get the latest reading of Q4 GDP, along with February’s mortgage approvals, consumer credit, and M4 money supply. 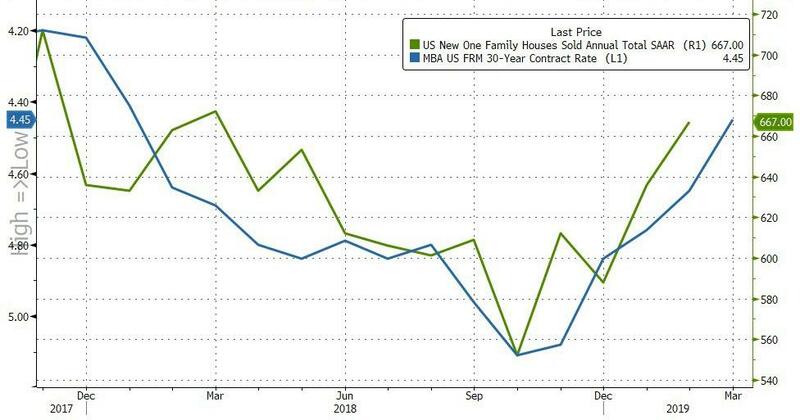 From the US, we’ll get the final University of Michigan sentiment reading for March, personal income for February, personal spending for January, the MNI Chicago PMI for March, along with February’s new home sales. In Canada, we’ll get January’s GDP figure. 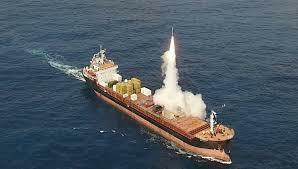 Could the next great Chinese advanced missile threat come disguised as an innocuous looking shipping transport vessel? A new report in The Washington Free Beacon suggests so, as it details China’s new long-range cruise missile which can be launched directly from a shipping container device, which is meant to conceal detection of the threat right up until the moment of launch. Alarmingly, it’s already being flight tested, according to analysts cited in the report, which further finds the technology “could turn Beijing’s large fleet of freighters into potential warships and commercial ports into future missile bases.” If cruise missiles can be hidden in international shipping containers, China could be a major threat to western targets simply as it moves millions of tons of goods every year. 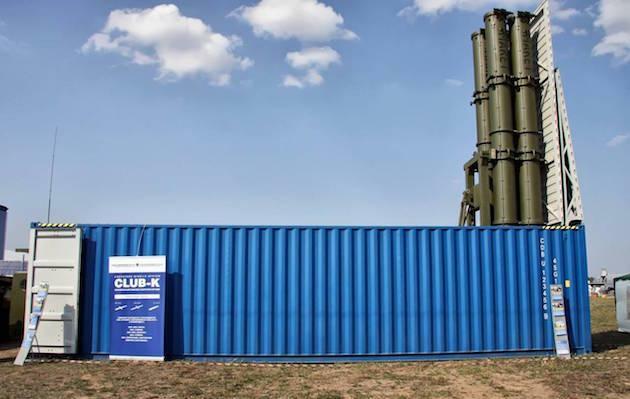 A Russian previously unveiled a similar weapon system in the international arms market called the Club K cruise missile system. “Potentially, Chinese missile launching containers could be stored near the Port of Seattle, waiting for the day they can launch an electromagnetic pulse warhead-armed missiles over the Bangor nuclear ballistic missile submarine base,” he speculated. The concealed nature of a launch-ready long-range missile also presents the nightmare scenario of ease of proliferation to rogue actors such as Iran or North Korea. “Containerized missiles give China, Russia, and its rogue state partners new options for directly or indirectly for attacking the United States and its allies,” Fisher added. The new missile being developed as part of the container-launch device program is said to be a variant of an advanced anti-ship missile called YJ-18C, according to US defense officials cited in the report. Israel has also for years been developing a similar container launch system for a short range ballistic missile, called the “LORA”. On that front, Washington military planners say there is much to be concerned about. One adviser and research professor at the US Army War College described China’s military activities in Latin America and the Caribbean as “extensive”. A Russian company had previously simulated how its “container weapons” systems would operate. Professor R. Evan Ellis said that during a conflict, “China’s substantial commercial base, its access to ports, and its military-to-military contacts in the Caribbean might prove useful,” as cited in the Free Beacon. “All of these add up to growing Chinese influence in a region located close to the U.S. as well as its most important Atlantic coast military facilities,” he added. The report noted that Israel has also for years been developing a similar container launch system for a short range ballistic missile, called the “LORA”. 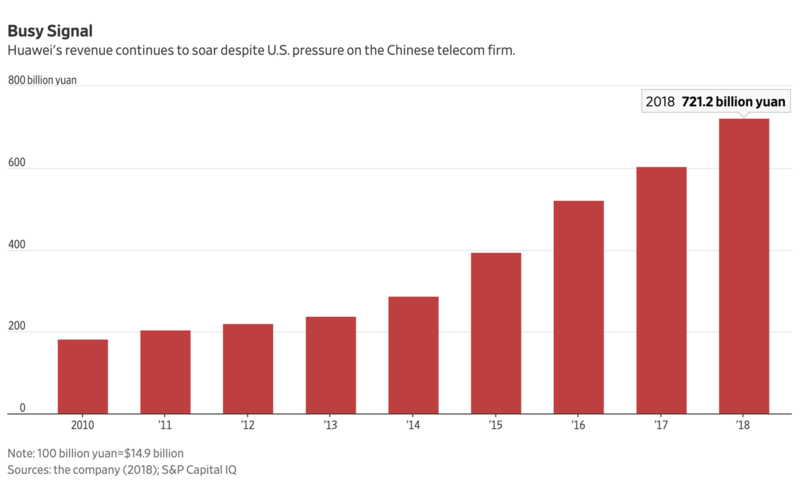 When it first launched its global lobbying campaign to shut Chinese telecoms giant Huawei out of the West, Washington was probably, in retrospect, feeling a little overconfident. After a ban on selling American-made components to ZTE (another Chinese telecoms giant) nearly precipitated the company’s collapse, a coordinated smear campaign – including the arrest of one of the company’s top executives, a pair of criminal indictments, and a ban on selling its products in the US – designed to weaken Huawei’s 5G leadership should at least have curbed the company’s torrid revenue and profit growth. Unfortunately for rival US telecoms giants, America couldn’t have been more wrong, as the Wall Street Journal pointed out. Though Huawei is a privately held company, it has made a habit of releasing earnings figures. And the numbers from 2018 are simply staggering. Despite being effectively shut out of the US and several of its allies in the “Five Eyes” intelligence alliance (Australia and New Zealand), Huawe’s revenue for 2018 rose 20% to 721.2 billion yuan ($107 billion) from 603.6 billion yuan a year earlier. Meanwhile, net income for 2018 rose 25% to 59.3 billion yuan. 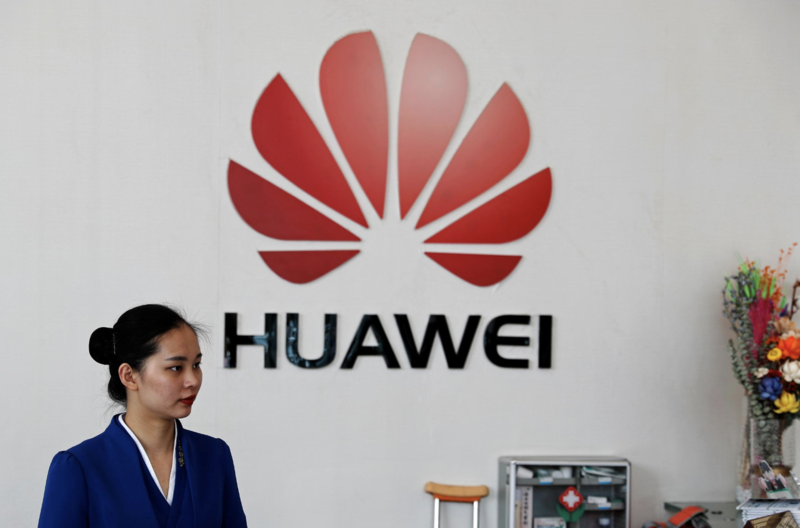 Heaping more embarrassment on the US, the EU, one of Washington’s staunchest “allies”, earlier this week refused to call for a ban or any restrictions on Huawei’s products. This after the UK and Germany had declared Huawei’s telecoms equipment suitable to be used in the country’s soon-to-be-built 5G infrastructure. Although Huawei saw a slight dip (1.3%) in its carrier business, Huawei rotating chairman Guo Ping said this dip was expected, as company’s hold off on repairs and upkeep before breaking ground on their new 5G networks. The company recorded rapid growth in its consumer business, which includes smartphones, and its enterprise cloud-computing business. In a major milestone for the company, its smartphone shipments rose 35% last year to 206 million units, making Huawei the world’s second largest supplier of handsets. Despite Washington’s ‘national security threat’ warnings, Huawei won 30 new 5G contracts from carriers in 2018. The company recently won contracts from customers in South Korea and the UAE. Guo, who has never shied away from mocking the US, celebrated the company’s numbers by lobbing yet another insult Washington’s way, as Reuters reported, Guo said he hoped the US government would drop its “loser’s attitude” and drop its smear camapign. “The U.S. government has a loser’s attitude. It wants to smear Huawei because it cannot compete against Huawei,” Guo Ping said. President Trump is going to love hearing that. With all hell breaking loose in Turkey this week, one would think Mark Mobius, the pioneering portfolio manager who launched one of the first EM-focused funds more than 30 years ago, would be focusing his attention on an issue more germane to his area of expertise – like whether Turkey’s deteriorating financial position might breed contagion – or something along those lines. Instead, he’s become the latest standard-bearer for “Project Fear”, warning during an interview with the FT that the UK already resembles an “emerging economy” and that the situation will only get worse once it finally departs the EU – particularly if it does so without a. deal. “The UK is like an emerging market now. Their balance of payments is terrible; their government debt is terrible; their fiscal debt is terrible,” said Mr Mobius, who spent most of his career working for the US asset manager Franklin Templeton. Subtly equating the UK with Greece and Portugal, Mobius argued that once the UK leaves the EU, ratings agencies will be forced to downgrade its sovereign credit rating once it no longer can “ride the coattails” of the trade bloc. 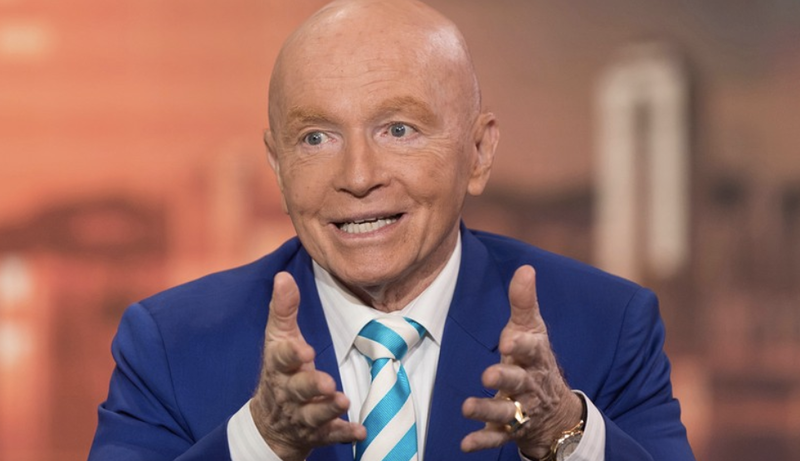 “Up to now, the UK is riding on the coat-tails of the EU, in the sense that [the UK] can have very low interest rates,” Mr Mobius told the FT at an event in New York this week hosted by the Emerging Markets Investors Alliance. But getting at the real reasons behind his antipathy toward Brexit, Mobius lamented the fact that the UK might lose its status as a center for emerging market countries, thanks to its dominance in global FX markets, and the fact that many companies based in emerging markets list their shares in the UK. As it stands, Mobius can just hang out in London and “these people will come to us”. But that could easily change. “The unfortunate thing for us in emerging markets is that the UK is really a centre for emerging countries for [public] listings or for company meetings,” Mr Mobius said. “We’ll have to go to Paris, Munich or somewhere else in the EU,” Mr Mobius said of his firm. Does Mobius really feel that the British people “made a mistake” when they voted for Brexit? Or is he just cranky that his firm might face a heap of new regulatory hurdles and might need to move? *LONG STORY SHORT: The Brexit deal PM May brought forth is essentially made up of two parts, the Withdrawal agreement (which sets out the terms of the UK’s departure from the EU) and the Political Declaration (which outlines the shape of future UK-EU relations). To get around House Speaker Bercow’s requirements of a “changed” deal to be put for a third vote, PM May decided to split the deal and only vote on the first part, i.e. the WA. PM May is expected to again be defeated in Parliament as she is unlikely to conjure up support from Labour and DUP (who have confirmed they will vote against the WA). There is still no confirmed direction from the ERG, although the group has said that they are likely to follow the DUP’s lead. Cabinet sources have also noted that the WA is unlikely to pass as there is not enough time to get the votes. BREXIT DATE: In the event the deal passes, Brexit date will be moved to 22nd May as agreed with the European Commission in Strasbourg. If not, the date remains as April 12th. (See below for possible scenarios). BBC’s Katya Adler noted that if UK chooses no deal, EU very unlikely to insist 12 April date to leave. It will likely choose 22 May as cut off date. This still separates Brexit from European Parliamentary elections (they start 23 May) but leaves extra time to better finalise no deal preparations. 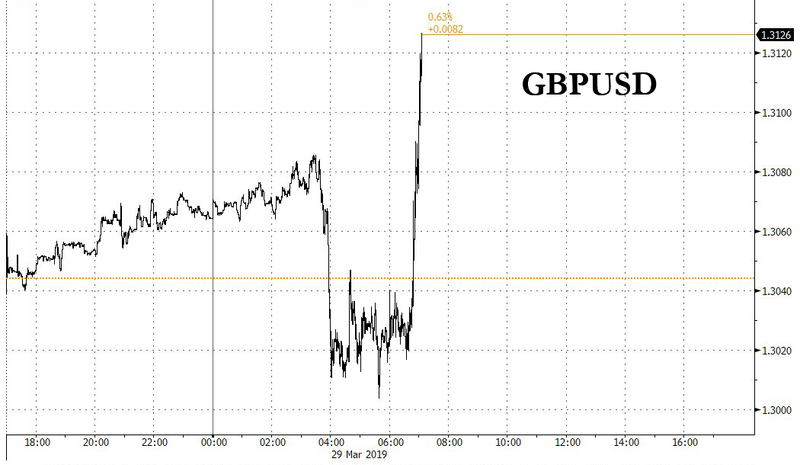 Update (6:50 pm ET): In a stunning turnaround, the pound has surged to a session high, erasing its losses for the day, on reports that Dominic Raab, May’s former Brexit Secretary, who famously resigned in November rather than endorse the withdrawal agreement that May had negotiated with the European Union, is planning to back her deal. There have also been reports that some Labour MPs are planning to back May’s deal, defying their party’s stated opposition. Earlier, it was estimated that the deal would be defeated by about 25 votes. But given that Raab could presumably carry some MPs with him, and the prospect of more Labour defections, traders are finding a renewed sense of optimism that Theresa May might just pull it off. 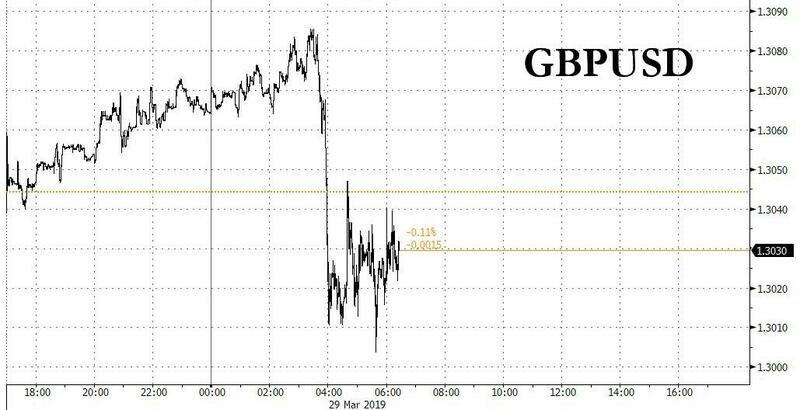 The British pound dropped sharply on the morning of “the day that should have been Brexit” after a Labour Party spokesman confirmed that the opposition party would oppose PM Theresa May’s “meaningful vote 2.5”, setting the third vote on May’s unpopular withdrawal deal with the EU up for almost certain failure. Sterling dropped to $1.3009, leaving it down roughly 2% for March, though it remained, no pun intended, up 2% on the quarter, making it the best performer among major currencies. That might come as a surprise to some, seeing as the public has been treated to one Brexit-related disappointment after the next, with May’s deal having already been voted down twice by wide margins. Just this pass week, an indicative vote on possible Brexit alternatives showed that not one would received majority support in the Commons. May and her team have warned MPs that if her deal is defeated again on Friday, they will risk delaying Brexit by months or even years. Then again, there’s also the risk that the UK will crash out of the EU (though May and her team have largely glossed over that possibility). International Trade Secretary Liam Fox said Friday that losing the vote would mean a longer extension to Brexit. The DUP, the 10 unionist MPs from Northern Ireland who help shore up the Tories Parliamentary majority, have already said they will oppose the vote. And many of the ERG leaders, including Boris Johnson and Jacob Rees-Mogg who said earlier this week that they would back the deal to prevent a longer Brexit delay have flipped-flopped on their stance. In order to meet Speaker John Bercow’s test that “substantial” alterations be made to the withdrawal agreement for it to be brought up for another vote, May decided to separate the WA from the non-binding political declaration – and EU officials confirmed that only the WA would need to be accepted for the UK to leave the EU. But the vote, on what was meant to be Brexit Day, is a request to MPs to allow her to keep going, to carry on pursuing her route, with its well-documented flaws. There’s a challenge there too, not just to her own Brexiteers but to Labour and the other opposition parties, to say “no” to a long delay to our departure from the EU, the last moment when Number 10 believes anything even approaching a timely exit can be guaranteed. There are signs now that many Eurosceptic MPs are ready to say “yes” – not because they suddenly have realised Mrs May’s deal is perfect, but because more of them officially realise that it is the clearest break from the EU they can realistically hope for. And in this environment, with control slipping away, that, for Theresa May, is worth a try. No amendments have been selected for debate before the vote, which is expected to take place at 10:30 am ET (2:30 pm London Time). Bill Blain on the Brexit and Boeing.. But firstly let me apologise for the lack of porridge this week. On Wednesday it was being unable to find anywhere to sit with a computer in London City Airport. Yesterday it was courtesy of Flybe from Edinburgh – I’d like to thank them for leaving us standing in a cold bus while they tried to rustle up a crew. The BA flight took off on time, although I wonder if it went to Dusseldorf? Forget reality – in today’s world equities are all and only about the stock price. And you can square that equation when Global Central Banks can’t afford to admit all their monetary experimentation has been about as much use as tea strainer bailing on the Titanic. 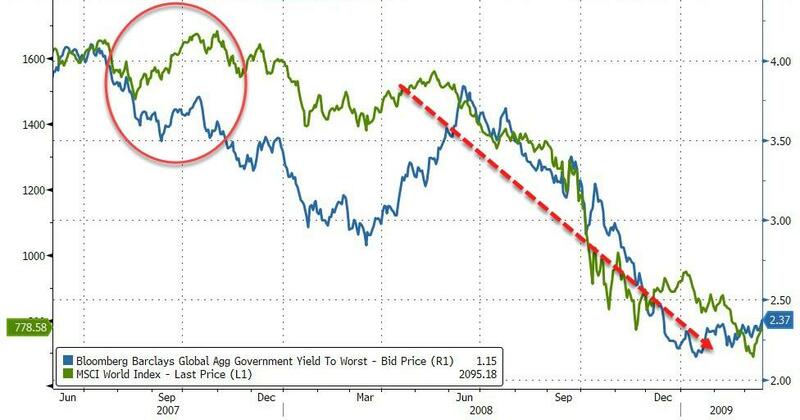 The reality is the non-normalisation of monetary policy leaves every single fundamental thing I thought I understood about markets; valuations, yields, risks and returns to be wrong. Utterly. My only recommendation would be in such a mad, mad, mad world… fill yet boots…. There is no point in worrying today about stuff you will have to worry about tomorrow: if and when the illusion ends, you will have zero chance of being able to exit, because concurrent with insane monetary policy experimentation and distortion, global regulators decided they’d better get in on the act and thus they stepped in to regulate markets to prevent a repeat of 2008. So they introduced new rules and killed liquidity, made hedging irrelevant, and turned markets from being vibrant centres of wealth creation into despondent job creation schemes for compliance officers. I was up in Edinburgh earlier this week, at Heriot-Watt University’s Centre for Finance and Investment. I’m hoping to become an advisor to the centre. I’d see my mission as altering today’s graduate and post-graduate students to the dangers of regulation, monetary experimentation, but, when all around in financial assets is distorted, especially the opportunities inherent in my alternative assets investments! Get them young I say.. give me the boys and girls today and I shall give you tomorrow’s CIOs! One of the areas we discussed were ideas for research projects – and that’s particularly interesting; for instance turning around my long held belief that firms with large cash piles tend to underperform because their management lack the imagination to deploy money effectively – empirical research demonstrates they’ve actually outperformed in recent years. Discussing research ideas with the Centre’s advisory board through up lots of fascinating ideas, concepts and approaches. Topics ranged across the board – from the underperformance of Absolute Return Funds, Corporate Governance and Behavioural Bias, The Woodford Effect, Private Equity distortions, liquidity and a host of other stuff including the promotion of gender equality across finance. Very happy to hear ideas from readers on areas for academic research – I’ll feed the sensible ones to the centre. BOEING – A MORE FUNDAMENTAL ISSUE? A few weeks ago Boeing stock tumbled in the wake of the second B737 MAX crash. Then the price stabilised, waiting for the investigative reports to come in. Markets took the view the situation would quickly be fixed, the production run of over 5000 aircraft would continue, and that the 350 B-737 Max aircraft parked around the planet would be allowed to fly again. Easier this week Boeing released a software update to the suspect MCAS stall prevention system. 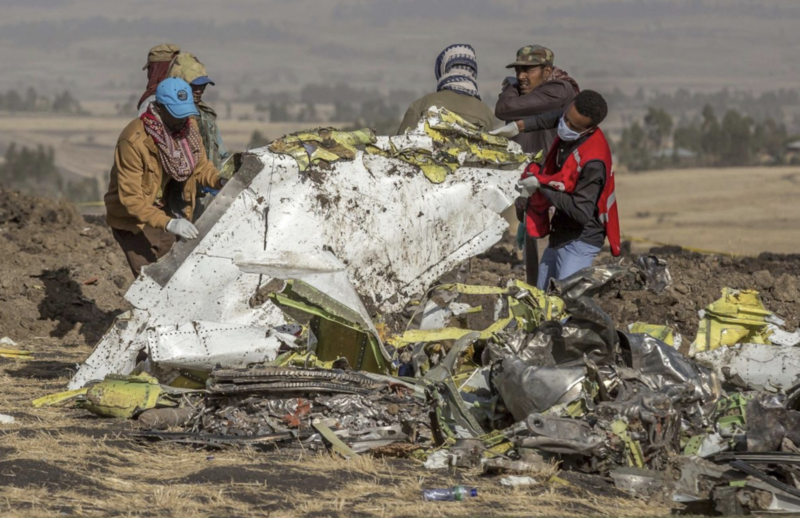 Yesterday officials investigating the Ethiopia crash confirmed it was broadly similar to the earlier Lion Air disaster: the MCAS system activated. The Ethiopian Airlines flight crashed soon after. 346 people died in the two related disasters. We know that in the Lion Air the crew spent their last precious seconds desperately trying to find out what was wrong with their the plane from the manuals – a failed sensor meant the stall system was repeatedly pointing the nose down every 15 seconds. As they didn’t know the system was even installed, and the airline hadn’t fitted the “extra cost” warning light, the crash was inevitable.. Pilots are on the record saying crews would have less than 40 seconds to save an aircraft if the stall system went off due to a faulty system – if the crew were unprepared or unaware, then it was impossible. You can imagine the horrific situation on the very busy flight deck where the alarms are screaming, the plane is gryating up and down the sky, the sensors are telling them the plane is flying straight and level, but the automatic stall prevention system is trying to plow the plane into the ground. They have 40 seconds to figure it out, switch off the system and resume level flight. Boeing might be in more trouble than we think. Although Boeing reacted quickly to the first crash and warned operators of the problem, the immediate issues will include; why weren’t operators more fully informed of the system from the outset of the Max programme and did Boeing deliberately downplay the significance of the stall system so they could cut the need for additional pilot training to make their aircraft a cheaper system? The law suites are coming in. It doesn’t help the rest of the world now distrusts the US Federal Aviation Authority – considering their oversight of Boeing to have been lax, and that they were slow to act following the second crash. While US B737 Max aircraft may be back flying in US airspace in just a few days, the rest of the world could take months to approve the Boeing fix. That has serious implications for deliveries, for current schedules, for aviation linked paper, and replacement aircraft values – call for more info. There may be a much bigger problem. At its root is the venerable B-737 design. The decision not to replace the 50 year old design with something new now looks a mistaken management compromise. Back in the 2000s, Boeing embarked on Project Yellowstone. It was (and may still be) Boeing’s plan to replace its ageing designs with new designs using new composite technologies, cleaner more efficient engines and other next generation design enhancements. So far only the 787 Dreamliner has come to fruition. It’s a fantastic plane. Plans to replace the B-737 (and the 757/767 series) were dropped/postponed when Boeing decided to go for the cheaper option of simply stretching the workhorse B-737 at little bit more to produce the B-737 Max. That was great for Boeing – no need to tool up for an expensive new plane, instead, keep making something they’d already delivered 10,000 of.. they could make it cheap and cheerfully. And they could say it was a completely new plane because it incorporated modern stuff, and it was called… MAX! The pitch-book to customers must have looked perfect: an aircraft type they already knew and flew, no need for additional expensive pilot training, no major conversion costs. And it would be pretty efficient. But, the new design MAX is a lash-up compromise. The new fuel efficient high bypass engines have been made to fit, but only by squeezing them in and making them a little bit less efficient. The are bigger, heavier and change the trim. The undercarriage has to be bigger, upsetting the trim a little more, and was difficult to fit making it a little more less efficient. The shape and weight of bigger engines changed the design – giving a nose up position, hence the need for a stall-management system. Its now becoming clear its not such a great proposition. Pilots apparently don’t like it – knowing what was once a thoroughbred now has the aerodynamics of a brick, a carthorse of the skies. Passengers are concerned. Airlines are cancelling orders – although Lufthansa just came in with talk of a new order. The good news for Boeing is the Airbus A320/321 series is 30 years old, and is going through a similar modernisation process – the Neo series. Supporting Boeing is the need for 30,000 new mid-size aircraft in the next 20 years. There just are not enough planes being made. Should they have been introducing a brand-new but expensive aircraft now to take that market? Probably. It will take years before a new plane, the B-797, is ready. In the meantime, what happens to the 5000 B-737 Max’s currently on order? If I was an airline executive.. I would not be happy.. If I was on the Boeing board…. I’d be nervous. Despite a last-minute round of defections from some Labour MPs and Tory Brexiteers, what reporters jokingly referred to as “meaningful vote 2.5” – the third vote on May’s withdrawal agreement – has been defeated 344-286, a margin of about 60 votes. In a speech after the result, May raised the possibility of new elections. The pound tumbled on the results. “We are reaching the end of this process in this House,” May said. One way out would be holding another election. While May said only that an election might be one option to break the impasse, opposition leader Jeremy Corbyn went further and called for a vote, and also called on May to fulfill her promise and quit, now. In a statement, Deputy ERG Chairman Steve Baker insisted that this must be the final defeat for May’s withdrawal deal, and that the Commons must now move on and find another way – or, presumably, accept a ‘no deal’ exit. 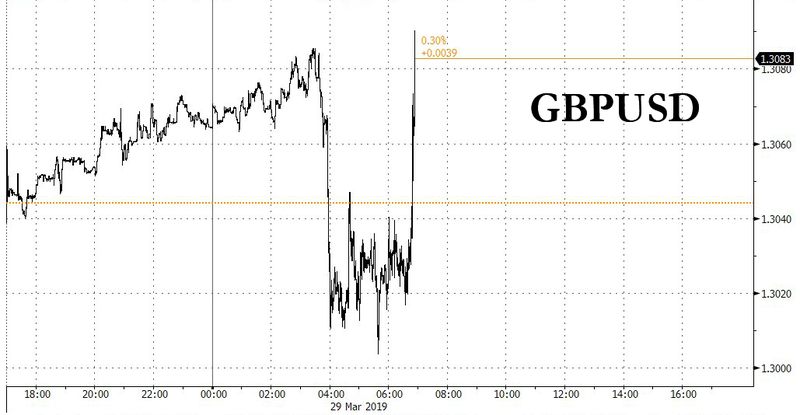 Cable started weakening ahead of the vote on speculation that the group of Brexiteer Tories voting against the bill would be large enough to hand May a third defeat. Reports attributed to SNP MPs about a “sizable” group of Tories massing in the ‘no’ lobby pushed the currency even lower. Early reports estimated that the vote would fail by roughly 50 votes. May ended the debate on Friday with an impassioned speech, telling MPs that she was “prepared to leave this job earlier than I intended to secure the right outcome for our country.” She also said there would need to be a “greater involvement of Parliament” during the next phase of talks with the EU, when the two sides will hash out the details of their future relationship. While Friday’s defeat is yet another major setback for the prime minister, who will now presumably push for a much longer Article 50 extension that could last for months or even years, the margin was better than the last two votes, indicating that May has made progress – just not enough to finally deliver Brexit. 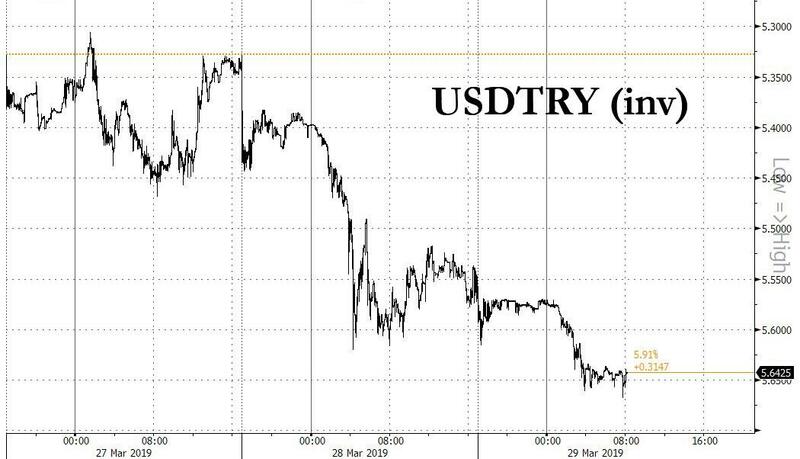 Despite Erdogan’s ever more desperate attempts to keep the lira elevated ahead of this weekend’s local elections, culminating with sending overnight TRY swap rates to an insane 1300% on Wednesday, consensus is now that after this weekend’s catalyst passes things will quickly go from bad to worse for Turkey as Turkish official foreign reserves plummet, putting the nation on the verge of a liquidity (and solvency, if enough foreign investors have lost faith) crisis. In any case, the Lira has been a one way train lower ever since the Turkish Central Bank ended the idiotic experiment with crushing all foreign investor confidence by boosting swaps to mindblowing levels. 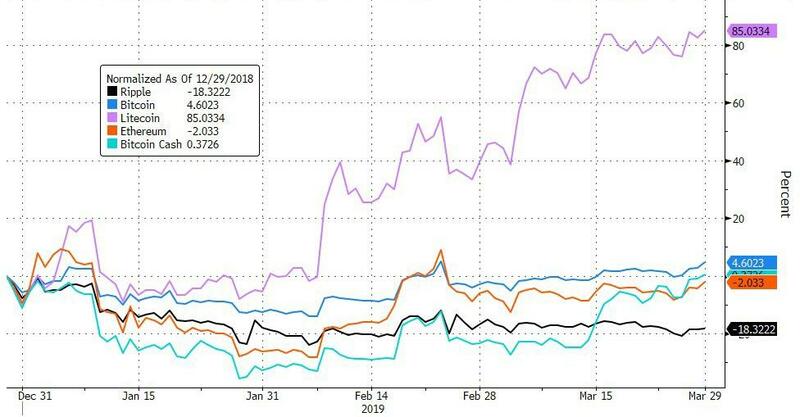 Amid the collapse in Turkish central bank reserves, the plunge in the lira and local financial assets, should a worst case scenario for Turkey materialize, questions relating to European banks exposure to Turkey have once again resurfaced as they did last summer. With that disclaimer in mind, Goldman claims that Turkey exposure of EU banks is “limited in scope and scale” as Turkey accounted for <1% of total EAD and c.1% of Net Profit for Goldman’s EU banks coverage in 2018: of more 50 banks under Goldman coverage, five have Turkey exposure of >1% of total EAD, with gross exposure ranging from 10% of EAD for BBVA, 5% for Unicredit to 2% or less for ING (2%), BNP (2%) and ISP (1%). Also worth noting that European banks tend not to have 100% ownership of Turkish subsidiaries, so one needs to adjust for the actual shareholding. Within our European coverage of >50 banks, 5 groups list Turkey as a meaningful exposure according to the transparency data published by the European Banking Authority (EBA). Notably, the affected banks remain relatively well diversified; although together they control roughly one-quarter of the Turkish market, their respective Turkish exposure stands on average at c.3% of consolidated EAD. While BBVA screens as an outlier, we note that similar to Unicredit and BNP, the Spanish group only holds a partial stake in the local business. For our coverage as a whole, Turkey accounted for <1% of total EAD in 2018 and c.1% of our Net Profit for 2018. Some more details: while Bank for International Settlements (BIS) statistics do not provide name-by-name exposures, Goldman uses it to provide context for the single-name disclosure published by the European Banking Authority (EBA) as a part of a 2018 EU-wide transparency exercise. According to the BIS data, total foreign claims of the foreign banking sector against Turkey stood at US$175bn as of the end of 3Q18 (of which Europe accounted for US$144bn), down from a peak of US$269bn at the beginning of 2016. Note that the BIS data captures private as well as public sector lending to Turkish residents as well as interbank lending. represents a small fraction of these banks’ overall balance sheets – this is due to the respective Euro banks’ size, diversification and partial ownership of local units. 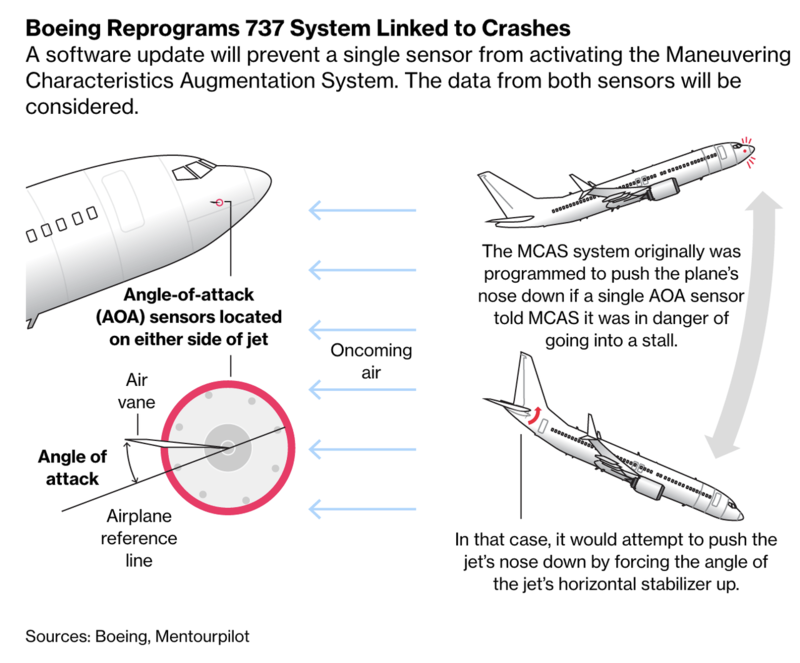 So far, Boeing executives have done a remarkable job of deflecting questions about the role Boeing’s MCAS anti-stall software played in the two plane crashes that inspired airlines around the world to ground the workhorse jets. But that’s about to get a lot harder. Confirming widely held suspicions, investigators have reportedly determined that MCAS was active at the time Ethiopian Airlines flight ET302 plunged to Earth in March 10, just minutes after taking off from an airport in Addis Ababa, according to WSJ. The report confirms what the CEO of Ethiopian Airlines told the press earlier in the week, when he said that the airline believed the software had been active at the time, though he couldn’t confirm it. Investigators have reached a “preliminary conclusion” that the software automatically activated, according to what they told FAA officials during a high-level briefing with the FAA on Thursday. WSJ said it is the “strongest indication yet” that the software was involved in both the Lion Air and Ethiopian Airlines crashes, which killed more than 350 people. US air safety experts have been analyzing information from the “black boxes” recovered from ET302 for the past few days. Meanwhile, a full preliminary report from the Ethiopian authorities is expected in the next few days. Earlier this week, Boeing announced changes to MCAS, including allowing input from two sensors instead of one. Investigators suspect faulty data from the sensor helped trigger the system. Boeing is also adding certain cockpit alerts. Your early morning currency/gold and silver pricing/Asian and European bourse movements/ and interest rate settings FRIDAY morning 7:00 AM…. Early FRIDAY morning USA 10 year bond yield: 2.42% !!! UP 4 IN POINTS from THURSDAY’S night in basis points and it is trading WELL ABOVE resistance at 2.27-2.32%. The 30 yr bond yield 2.83 UP 2 IN BASIS POINTS from THURSDAY night. USA dollar index early WEDNESDAY morning: 97.12 DOWN 8 CENT(S) from THURSDAY’s close. the Italian 10 yr bond yield is trading 138 points HIGHER than Spain. USA/JAPANESE YEN:110.79 UP .162 (YEN DOWN 16 BASIS POINTS/..
We have seen this before…and it did not end well. 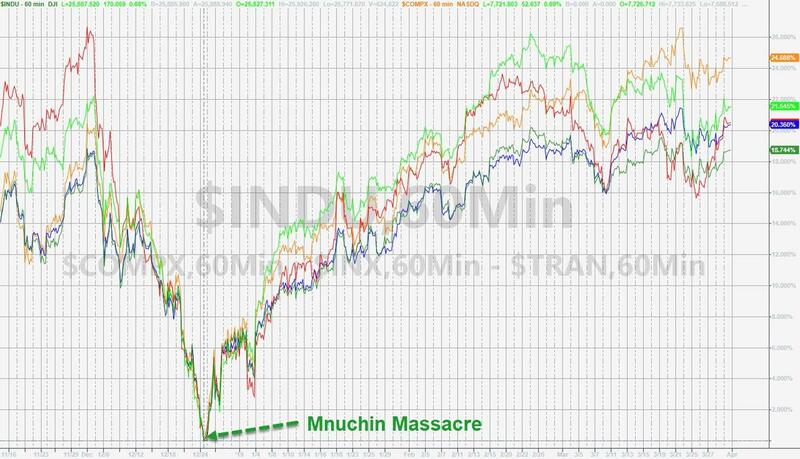 From the Mnuchin Massacre lows on Christmas Eve, the Nasdaq is up almost 25% and the Dow lagging at a mere 18.75%!! 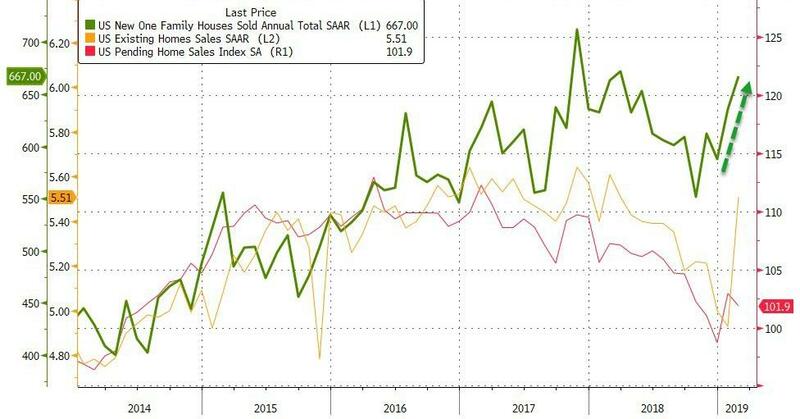 After disappointing pending home sales, February new home sales beat expectations, rising 4.9% MoM after a massively upwardly revised January jump of +8.2% (revised from -6.9% MoM). While tumbling mortgage rates helped, we also note that the median sales price fell 3.6% from a year earlier to $315,300. Purchases of new homes rose in three of four U.S. regions, led by a gain in the Midwest, while transactions in the South, the largest region, climbed to the highest level since 2007. Sales in the West were unchanged. The supply of homes at the current sales rate decreased to 6.1 months, the lowest since June, from 6.5 months in January. New-home purchases are seen as a timelier barometer of housing than those of previously owned properties, as they’re calculated when contracts are signed rather than when they close. U. of Michigan soft data rebounds in March and it was hope in the low income American category that sparked the gain. Consumer confidence rebounded in March to 98.4 from last month’s 93.8, slightly above the average of 97.2 recorded in the past 26 months. The March gain in the Sentiment Index was entirely due to households with incomes in the bottom two-thirds of the income distribution. Middle and lower income households more frequently reported income gains than last month, although income gains were still widespread among upper income households. 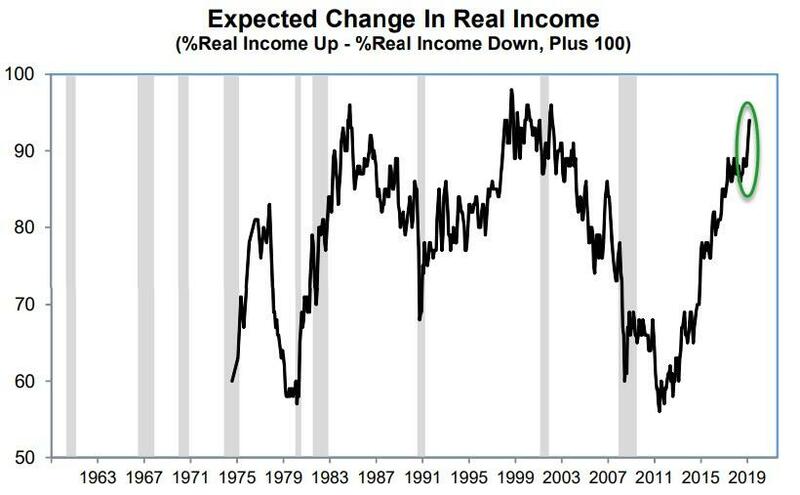 Indeed, the last time a larger proportion of households reported income gains was in 1966. Finally, it should be noted that too few interviews were conducted following the summary release of the Mueller report to have any impact on the March data; if there is any, it may affect the April data. As noted in last week’s special report on the politicization of economic expectations, the divergence between Democrats and Republicans has remained substantial. 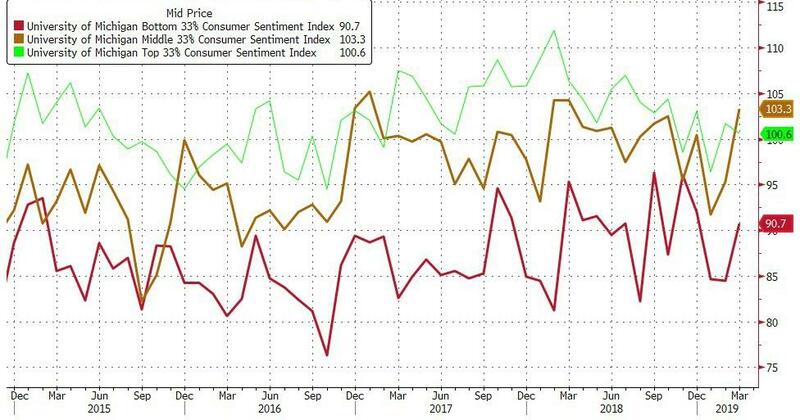 It is unlikely that the average level of sentiment, however positive, has the same impact on consumer spending given the sharp political differences. Nonetheless, the data do not indicate an emerging recession but point toward slightly lower unit sales of vehicles and homes during the year ahead. Chicago PMI in March slowed to a reading of 58.7 from 64.7, MNI Indicators said. Any reading above 50 indicates improving conditions. Order backlogs fell into contraction territory, while production and new orders fell but were still above their January levels. 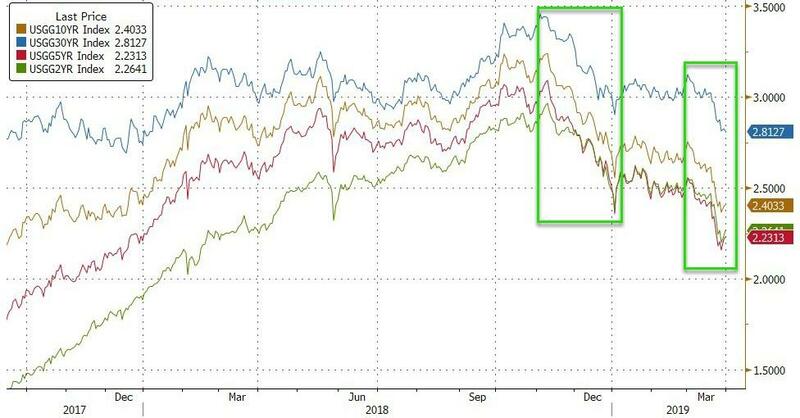 Companies ran down their inventories at the fastest pace since July 2018. The average of 60 for the first quarter was the lowest in two years. The word “capitulation” is getting thrown around quite haphazardly in reference to the Fed’s tightening policy. 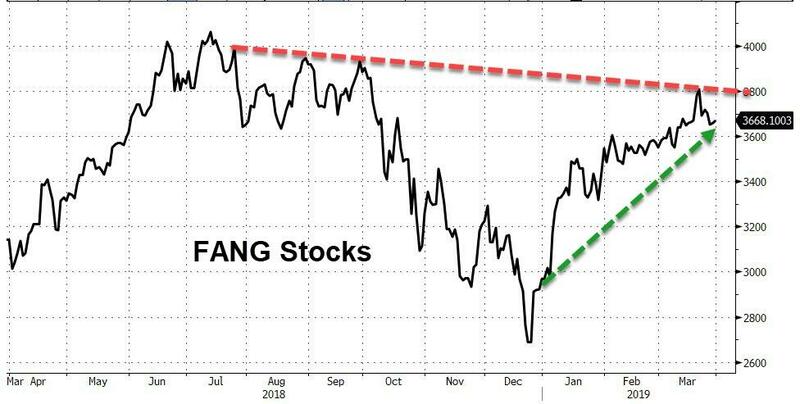 And yet, even now after all the pundits have declared the Fed “in retreat” or “trapped in a Catch-22”, the Fed continues to tighten, and is set to cut balance sheet assets straight through until the end of September.Perhaps my definition of capitulation is different from some people’s. One would think that if the Fed was in retreat in terms of tightening, that they would actually STOP tightening. This has not happened. 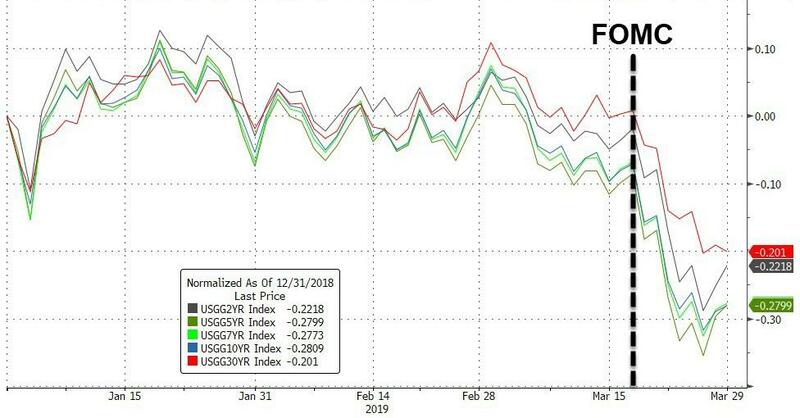 Also, one might also expect that if the Fed is going full “dovish” that they would have cut interest rates in March instead of holding them steady at their neutral rate of inflation. 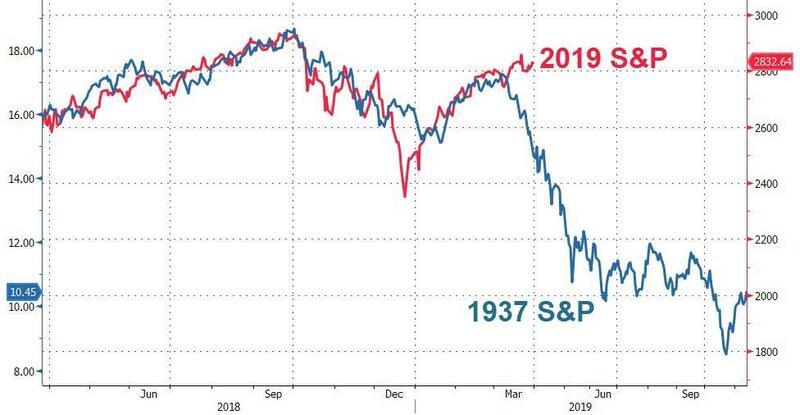 This has not happened either.In fact, I’m not exactly sure how anyone can claim with a straight face that the Fed has given up on Quantitative Tightening (QT). 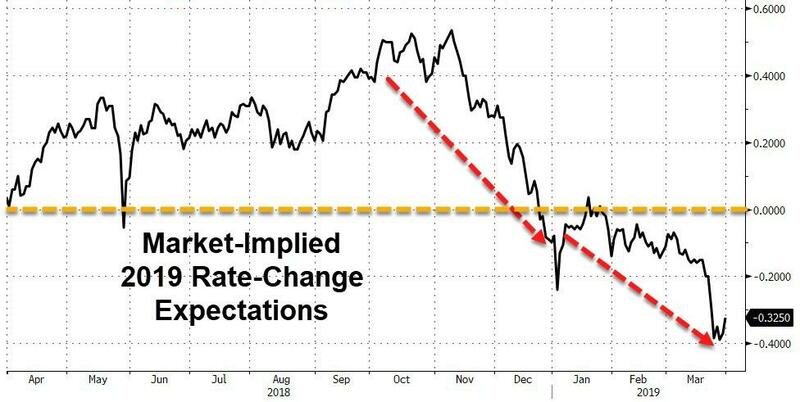 Despite the many assumptions out there that the Fed is going to reverse on interest rates, I believe this is wishful thinking and that the Fed will not reverse rates in 2019. 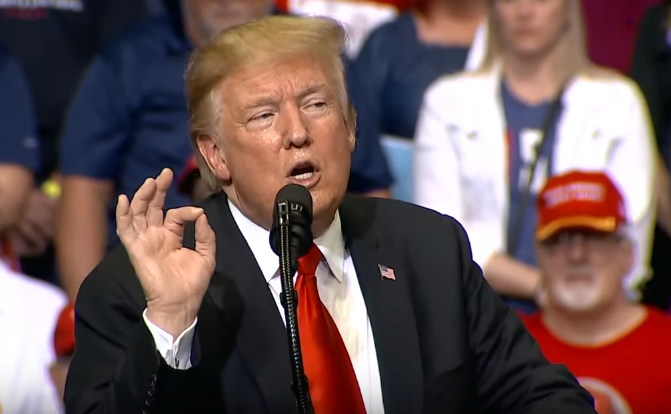 President Trump told a packed audience in Michigan on Thursday that he’s been fully vindicated by special counsel Robert Mueller’s report, and those who perpetrated the Russia ‘hoax’ will now be held to account, reports PJ Media. Trump called the Russia probe a “sinister effort” to undermine his election victory, and now “The Russia hoax is finally dead,” Trump told the crowd. “We defeated a very corrupt establishment and we kept our promise to the American people and it is driving them crazy. Today, our movement and our country are thriving. Their fraud has been exposed and the credibility of those who pushed this hoax is forever broken. And they have now got big problems,” said Trump. The political left & their allies in the media spent 2 years attempting to tear down @realDonaldTrump‘s entire family, as well as his Admin, while needlessly dividing the country in the process, all because they couldn’t get over Hillary Clinton losing. Attorney General William Barr on Friday told lawmakers that he expects to have a public report of special counsel Robert Mueller‘s Russia probe findings by mid-April and that President Trump has deferred to him to decide what makes it into the redacted document. “Our progress is such that I anticipate we will be in a position to release the report by mid-April, if not sooner,” Barr wrote to House Judiciary Chairman Jerrold Nadler (D-N.Y.) and Senate Judiciary Chairman Lindsey Graham (R-S.C.). “Although the President would have the right to assert privilege over certain parts of the report, he has stated publicly that he intends to defer to me and, accordingly, there are no plans to submit the report to the White House for a privilege review,” Barr wrote. The attorney general pushed back on previous characterizations that he had only provided lawmakers with a “summary” of Mueller’s findings with his four-page letter to Congress on Sunday, stating that he provided “bottom line” talking points about Mueller’s findings. “My March 24 letter was not, and did not purport to be, an exhaustive recounting of the Special Counsel’s investigation or report,” he wrote. “As my letter made clear, my notification to Congress and the public provided, pending release of the report, a summary of its ‘principal conclusions’—that is, its bottom line,” he added. President Trump’s top cop also identified the dates he is available to testify before Congress. “I am currently available to testify before the Senate Judiciary Committee on May 1, 2019 and before the House Judiciary Committee on May 2, 2019,” he said. During the last two years, the mainstream media (MSM) continued to perpetuate this outright lie, and anyone who did not come on and continue the lie was dismissed. Famed lawyer Alan Dershowitz said he was “banned” from CNN because he would not participate in the smearing of President Trump with the Russia collusion hoax. 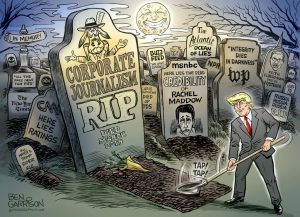 Now, the MSM ratings are imploding with little chance of recovery. The yield curve continues to invert, meaning you can get paid more from the U.S. Treasury for locking up your money for one month than you can for locking up your money for 10 years. Experts say yield curve inversions always spell trouble for the economy. Is the economy teetering on an abyss of unpayable debt?